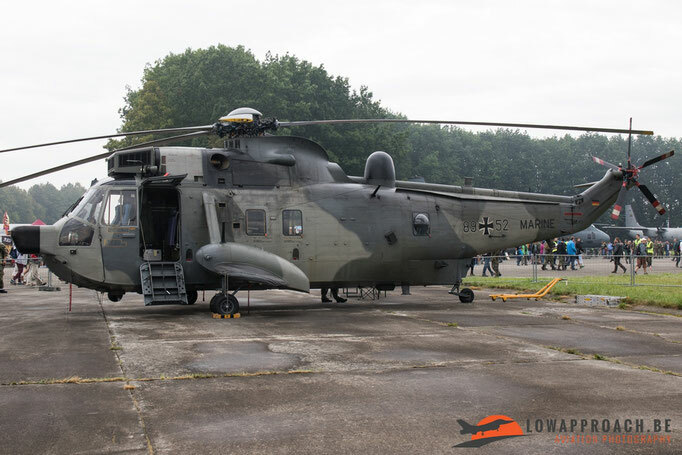 In the third weekend of September Low Approach made a trip to the Czech Republic to visit the NATO Days in Ostrava. Beside the NATO Days, also the Czech Air Force Days are organized in this same event. 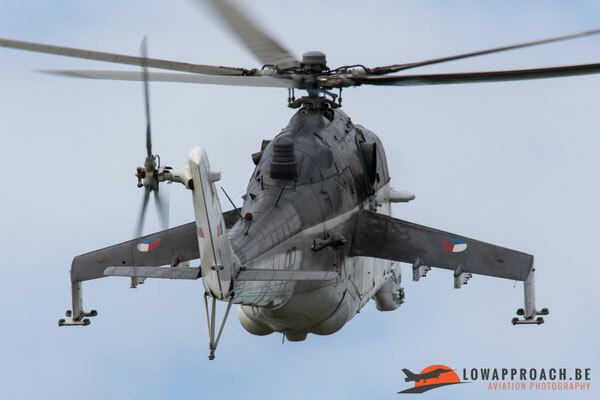 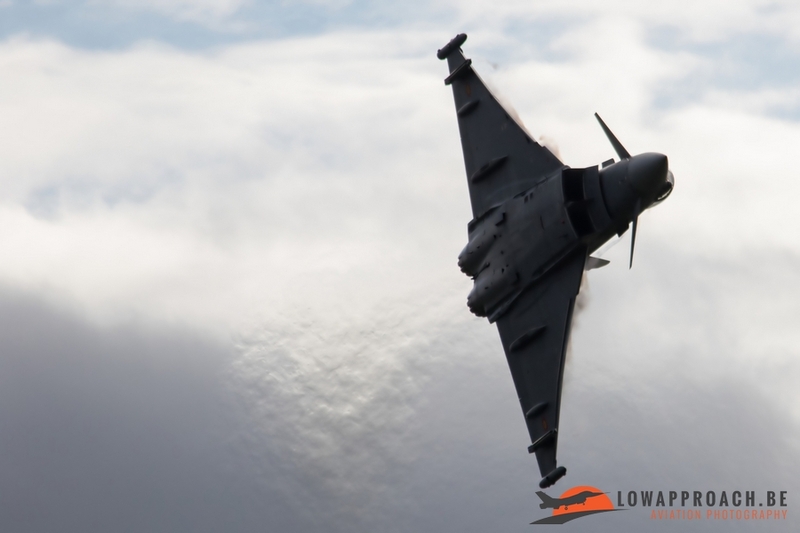 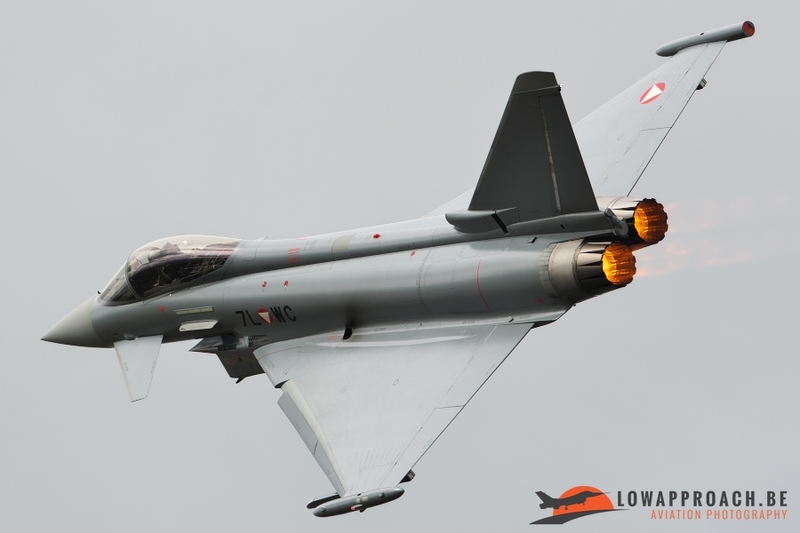 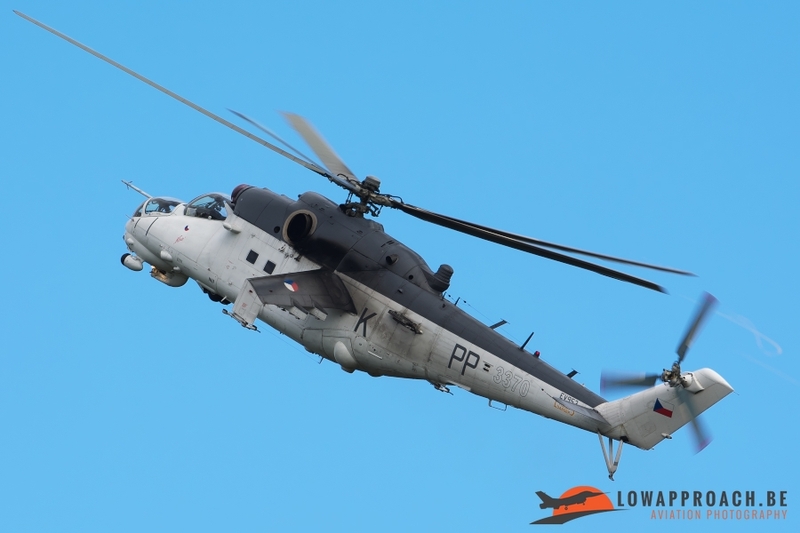 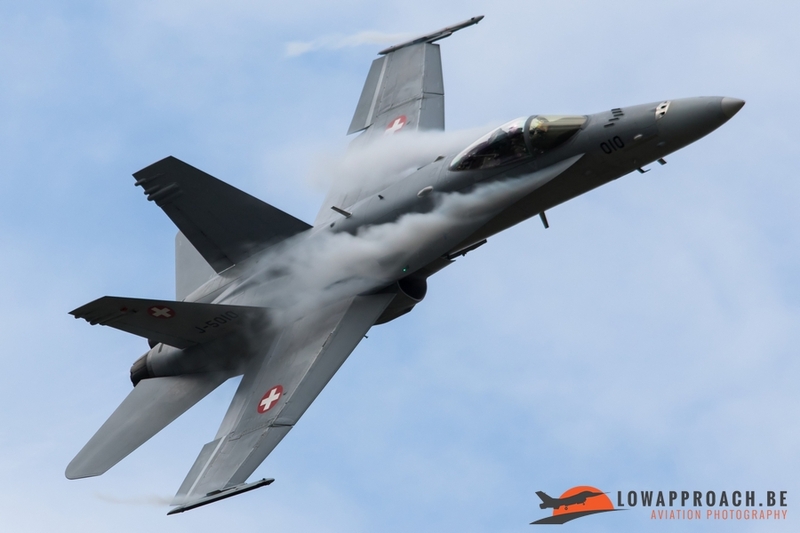 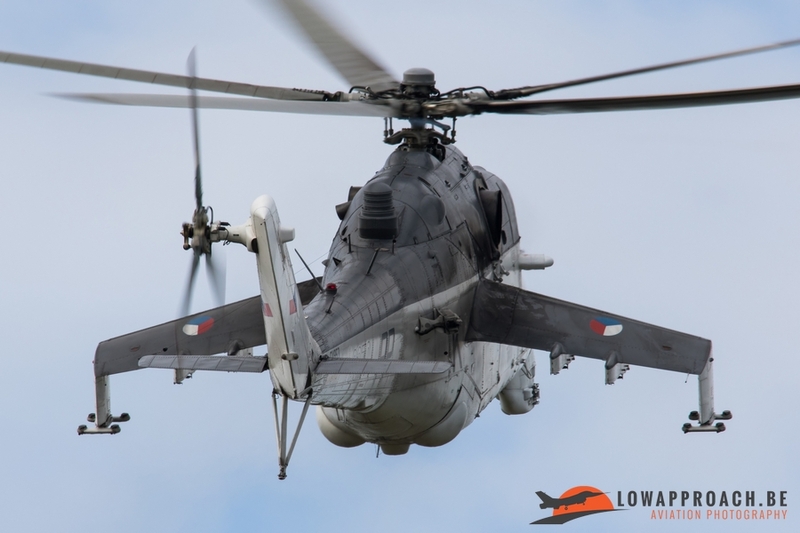 The NATO Days are not only an airshow, but it’s an event to present, to the general public, the wide spectrum of the resources and the capabilities of the Czech Republic and its allies in terms of providing safety and security to the civilians. 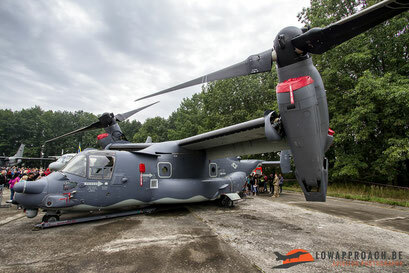 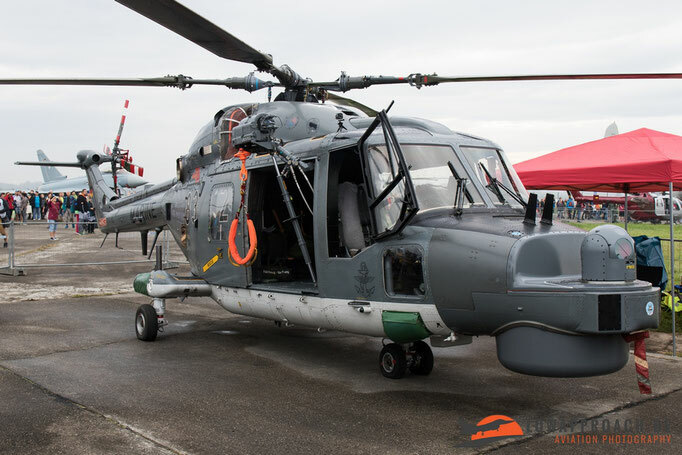 During the event there is an opportunity to see military hardware exhibitions, police and rescue technology, dynamic shows of special training units and air displays. Every year a special partner nation is chosen and this year it was Germany to present themselves. 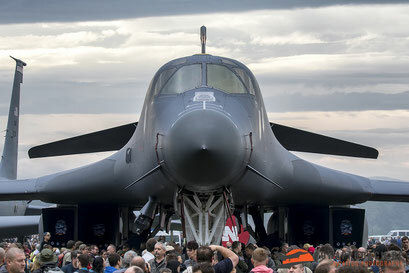 They attended the event with a very large delegation, but we come back at this later in the report. 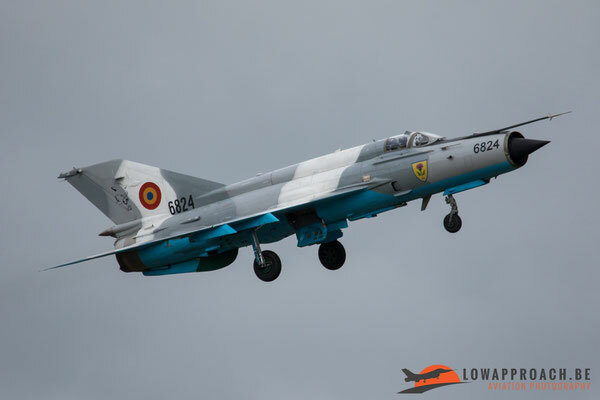 The airport where the airshow is organized is Leoš Janáček Airport Ostrava, formerly Ostrava-Mošnov International Airport and it’s located 20 km southwest of the city Ostrava. 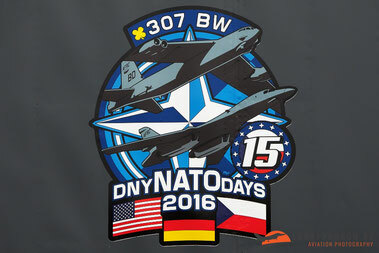 The NATO Days are being organized at the airport since 2003. 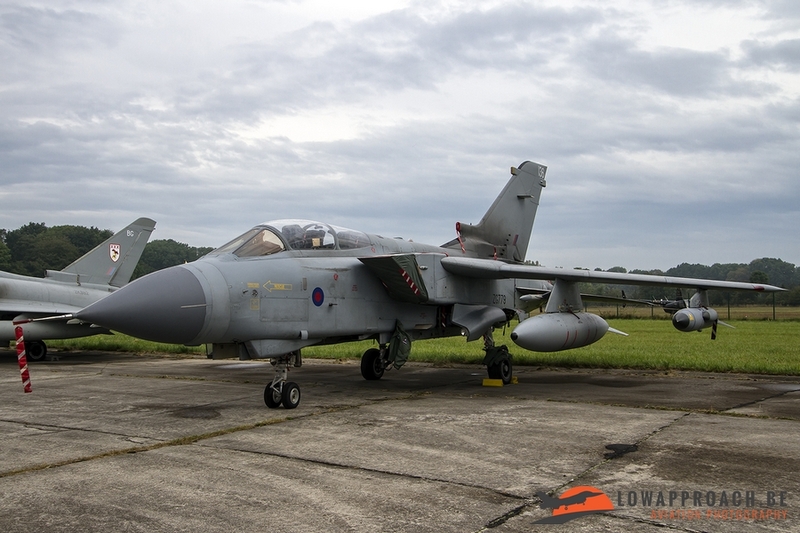 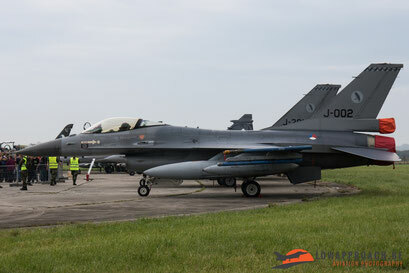 On Saturday the first day of this event we entered the airfield to make pictures of the static display. This year there were some very nice participants in the static display… First special was the Lithuanian Air Force that attended the event with two L-39s. 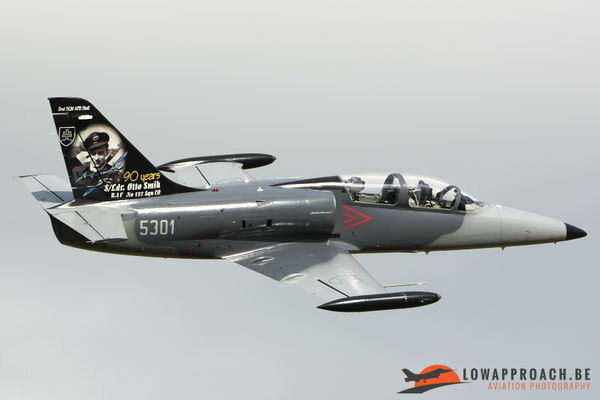 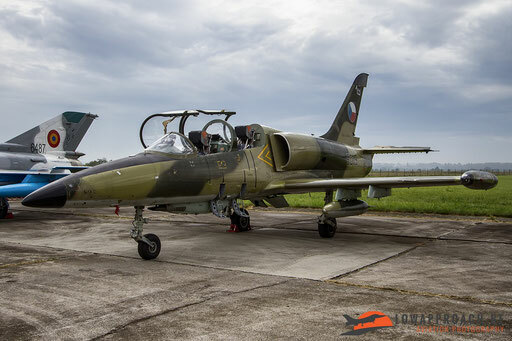 The first was a L-39C from the acrobatic team “Baltic Bees” but also used by the Lithuanian Air Force, the second was a L-39ZA that was painted in camo colours. 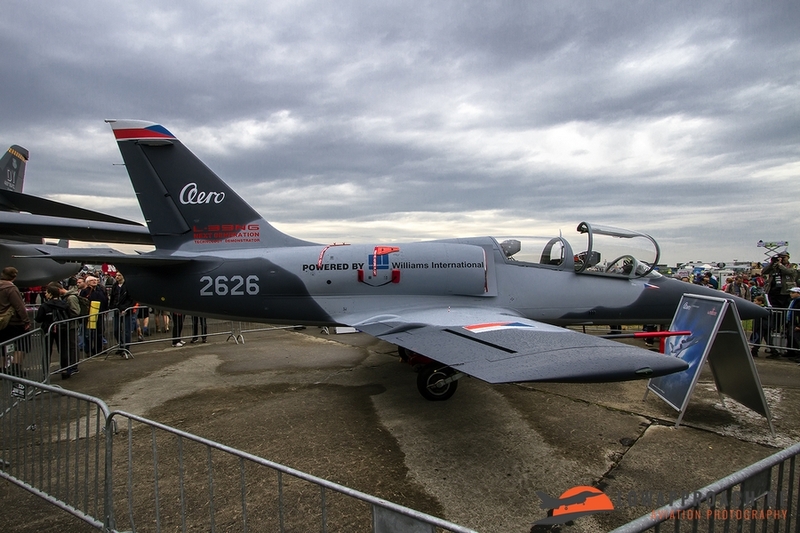 The L-39ZA is an upgraded L-39ZO for armed training and light attack, employing sturdier landing gear, a higher payload and notably provision for a GSh-23L 23-millimeter twin-barreled cannon attached in a conformal pod under the pilots compartment. 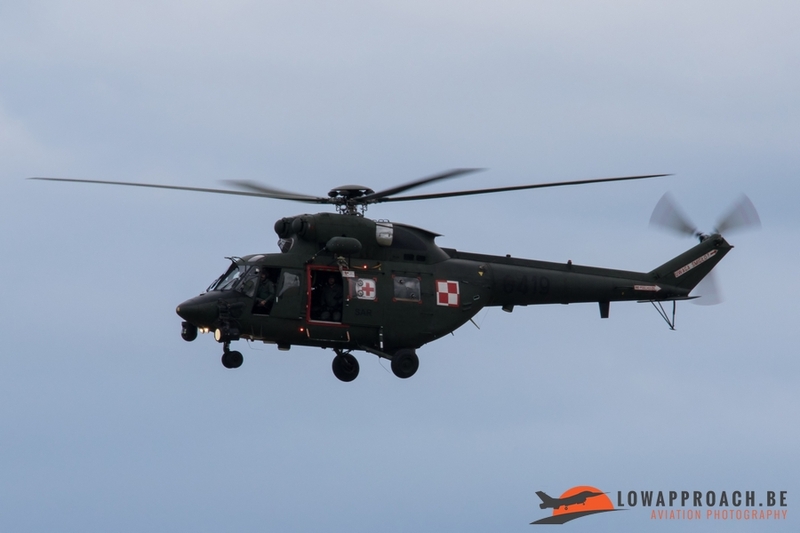 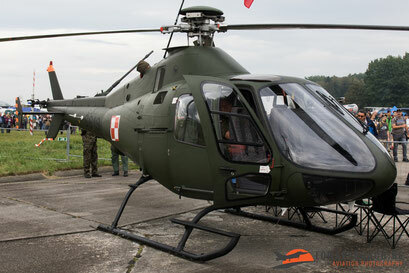 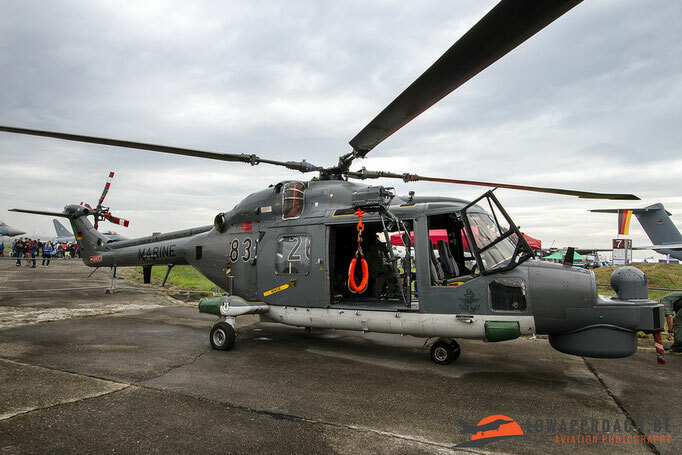 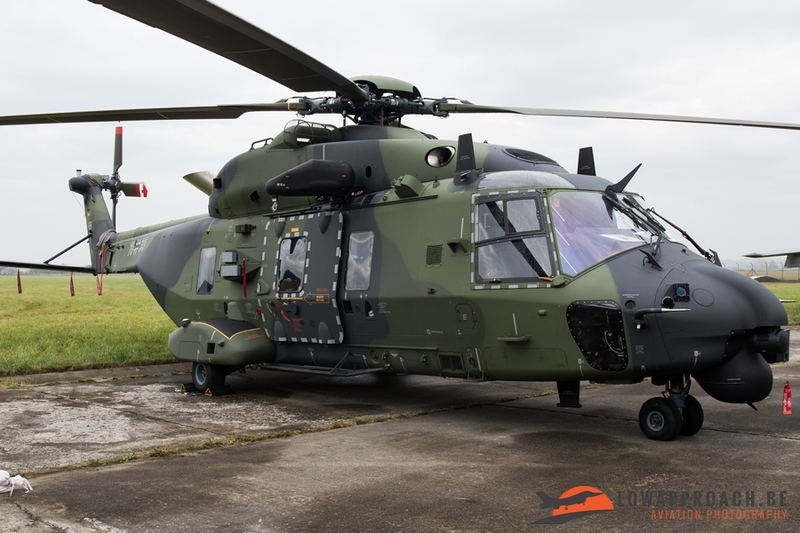 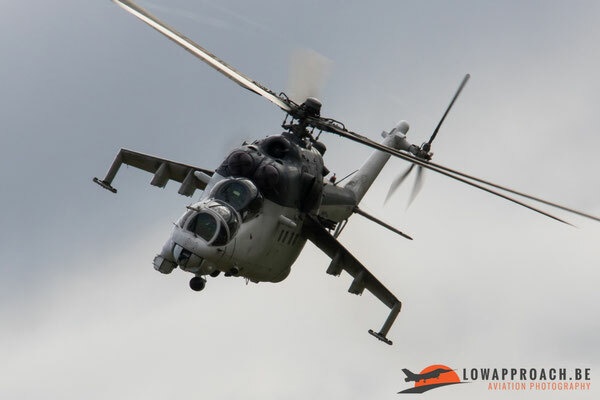 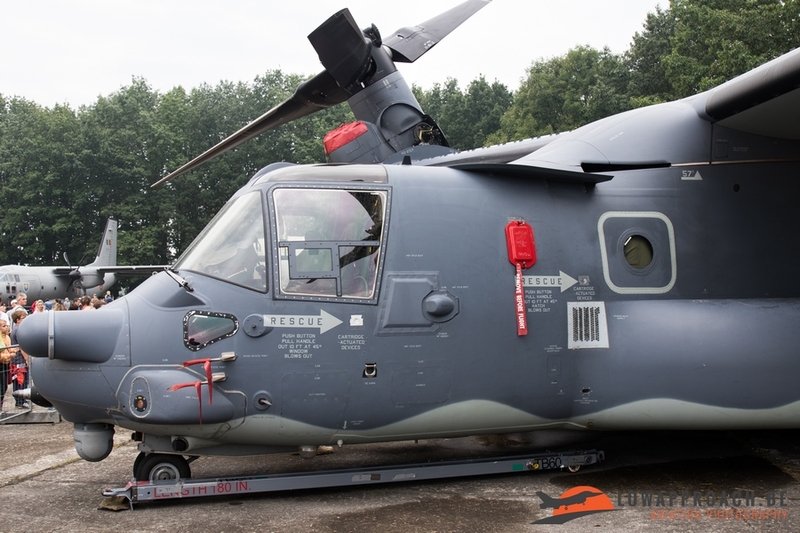 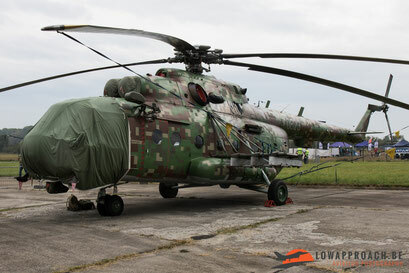 The third participant of the Lithuanian Air Force was an AS365N3+ Dauphin, these were purchased last year. 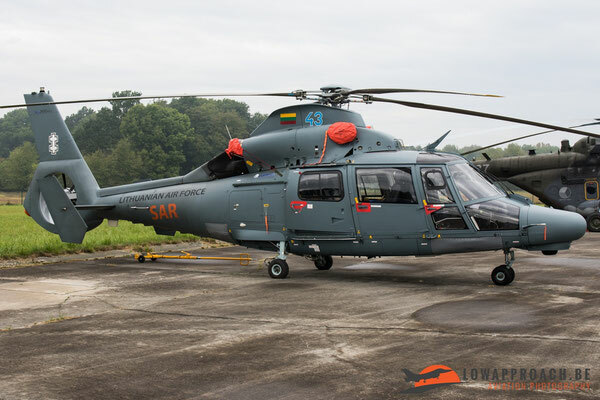 The Dauphins are being used most of the time for SAR (search and rescue) and also for monitoring of environment. 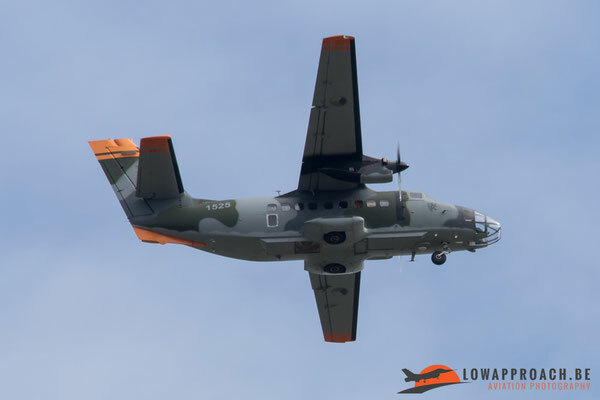 The fourth and last airplane from the Lithuanian Air Force was the C-27J Spartan transport aircraft. 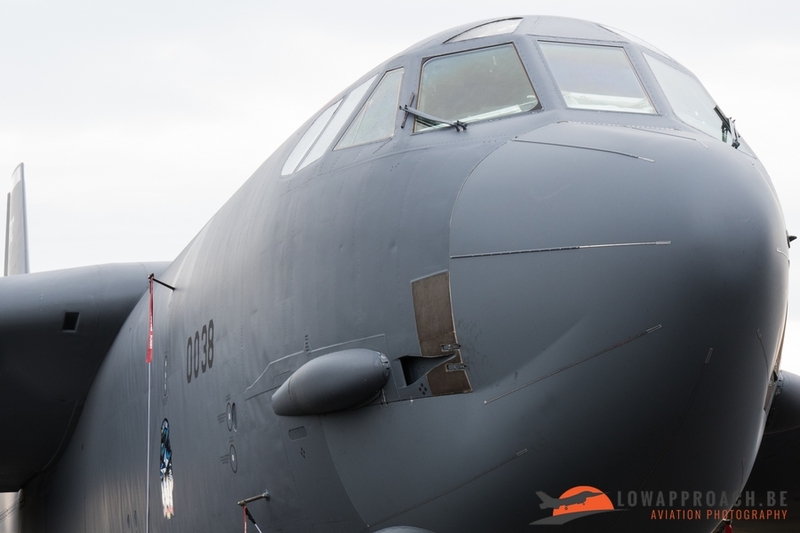 Another big contributor for the static display was the U.S. Air Force who attended with the B-1B Lancer, this airplane was participating in the Ample Strike 2016 exercise in the Czech Republic so for the B-1 it was a little effort to be in Ostrava. 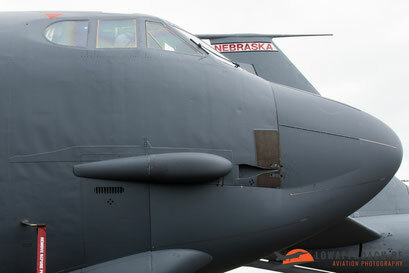 The second US strategic bomber type that was attending was the B-52H from the 93rd Bomb Squadron and coming from its home Barksdale AFB in Louisiana. 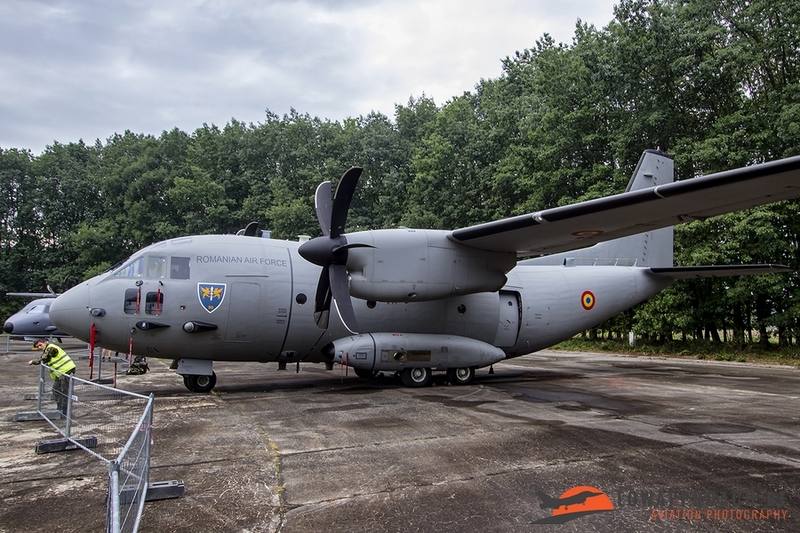 Also the USAFE send some participants to the NATO Days, a KC-135 Stratotanker and a CV-22B Osprey. 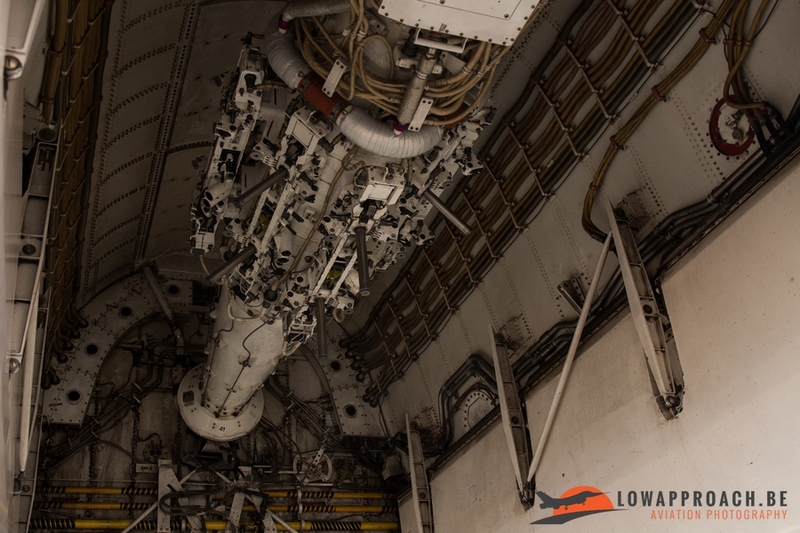 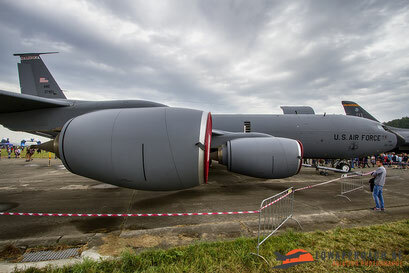 Both are stationed in Mildenhall AFB in the U.K., but in January 2015 the United States Department of Defense announced the closure of RAF Mildenhall for money saving reasons. 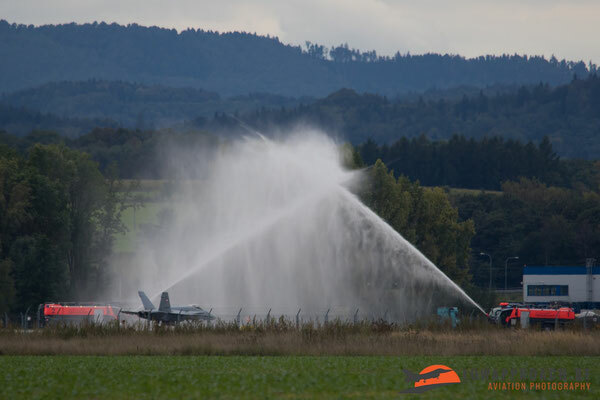 No exact date is given but in some time the CV-22 Osprey's and C-130's stationed at the airbase will be re-located to Spangdahlem Air Base, the KC-135 tanker aircraft will be sent to Ramstein AFB, both bases are situated in Germany. The USAFE also send an AH-64 Apache for the static display, this helicopter already serves the US Army for more than 30 years. 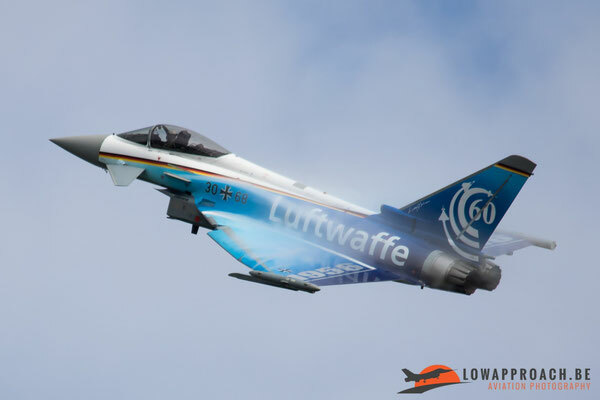 As special partner nation, Germany sended a large delegation for the NATO days, some for the static display others for the flying display. In the static we could find a Bo-105, NH-90 and a Tiger helicopter from the German Army. 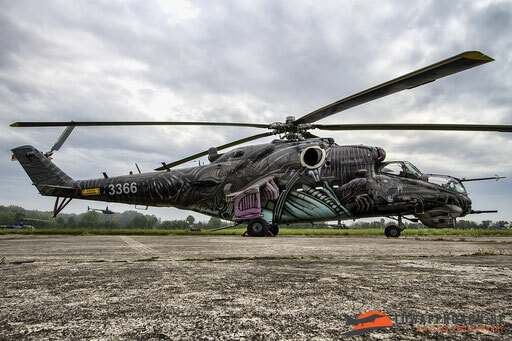 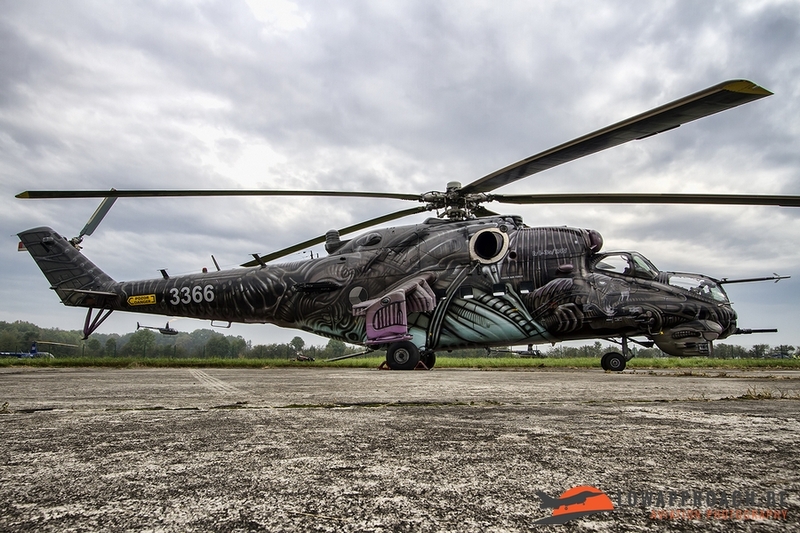 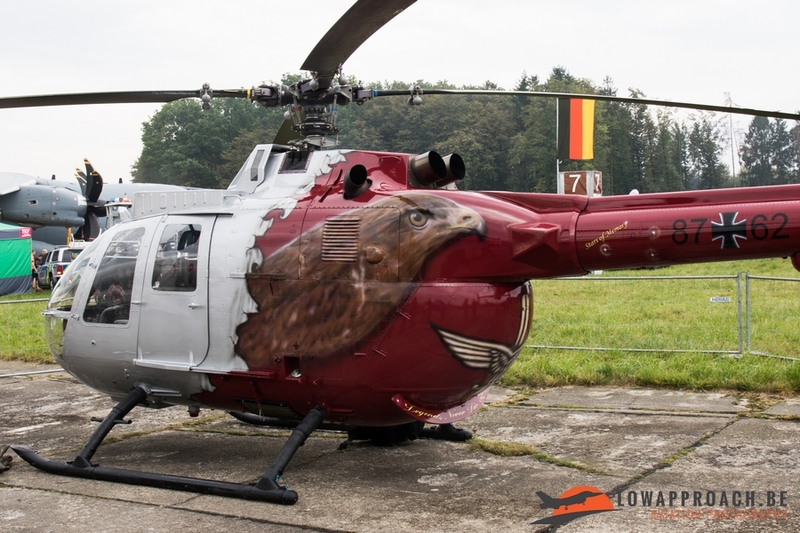 The Bo-105 was the most interesting one because it was the special painted Bolkow to commemorate the retirement of the Bolkow in German duty. 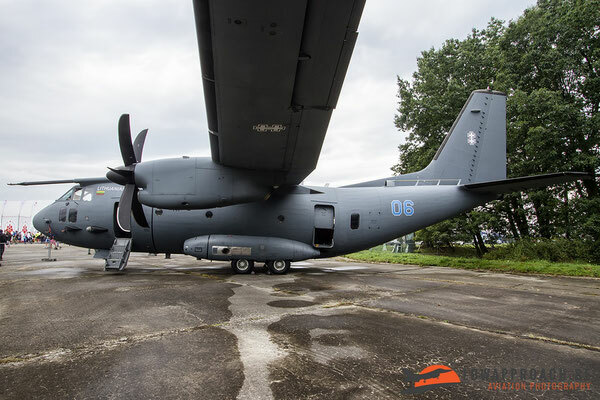 The German Air Force was participating with an EF-2000 Typhoon S, A-400M and a C-160 Transall. 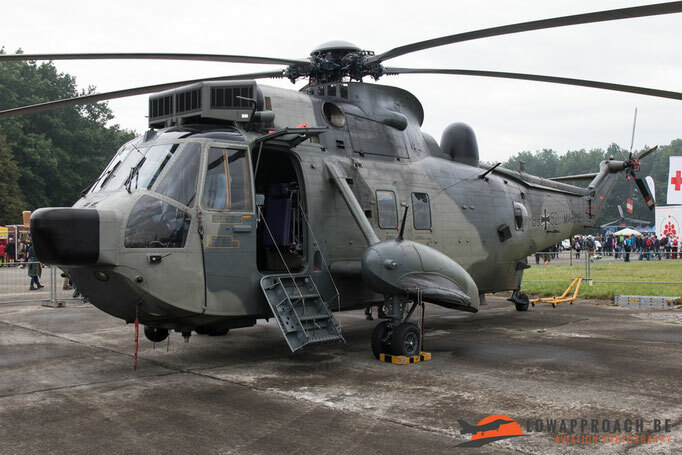 The German Marine on their side attended with a P-3C Orion Maritime Patrol Aircraft, the Sea King MK 41 and the Sea Lynx. Off course because in the same event also the Czech Air Force Days are being held, they attended the NATO Days with a lot of airplanes and helicopters. 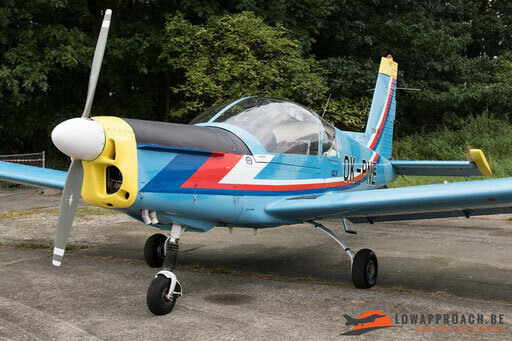 The most special contribution has been done by the CLV (The Czech Air Force Centrum Leteckého Výcviku LOM / Centre of Air training) and is based at Pardubice Air Base in this centre all students are starting with the elementary flying course on the Zlin Z142C-AF, after the necessary flight hours they will be evaluated and assigned to the advanced training on either fast jets, helicopter or transport aircraft. 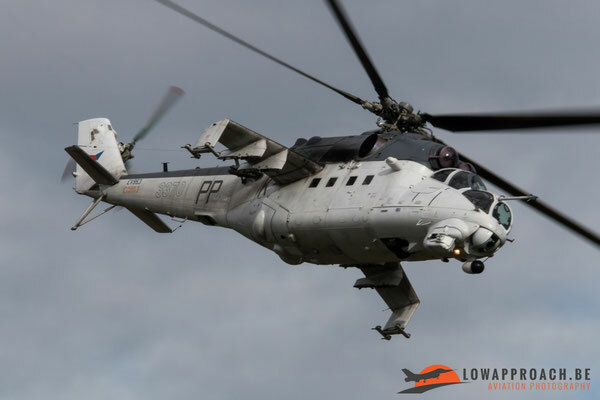 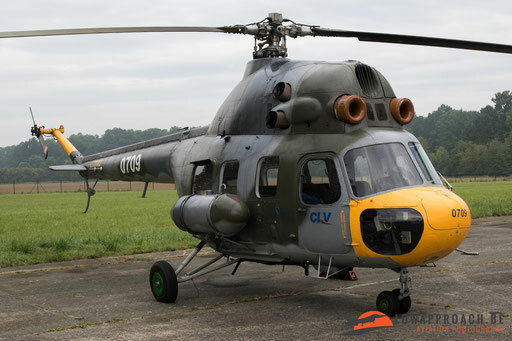 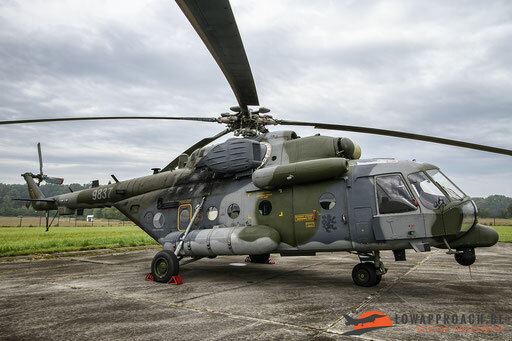 In Ostrava the CLV participated with a Zlin 142C-AF and a Mil Mi-2 Hoplite both are not been seen very often outside the Czech Republic. 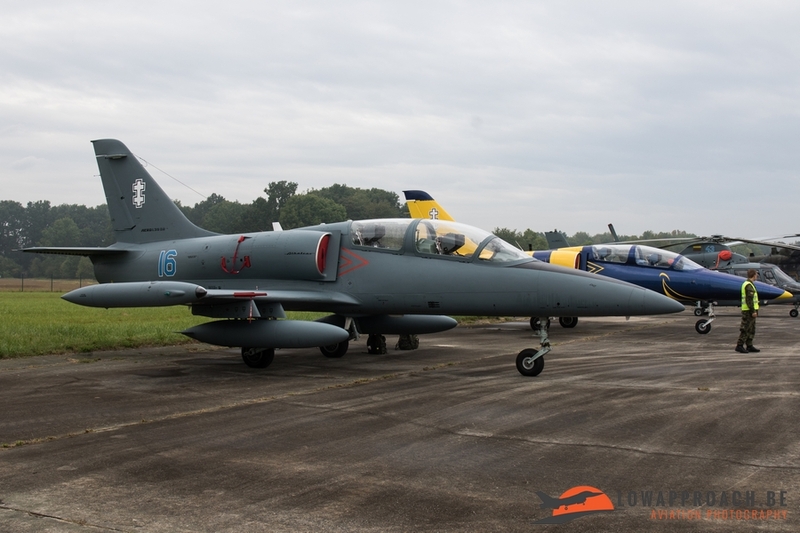 Other participants from the Czech Air Force were a L-39ZA, L-159A ALCA and MI-171. 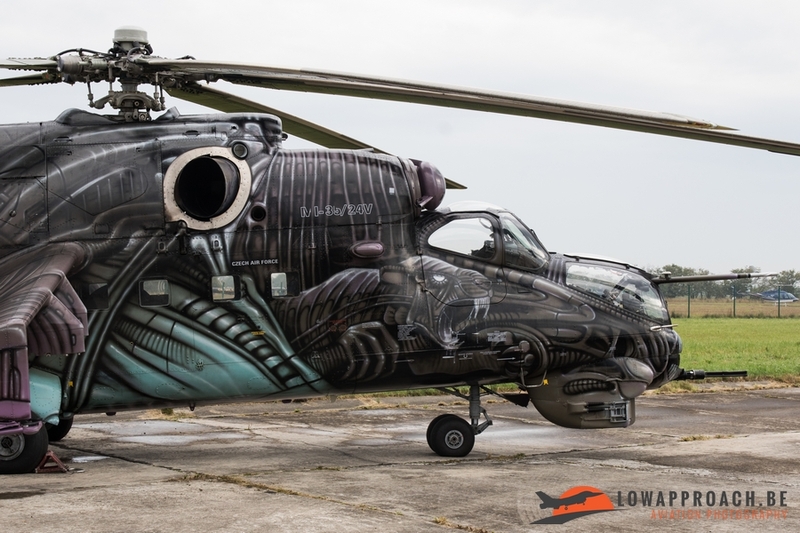 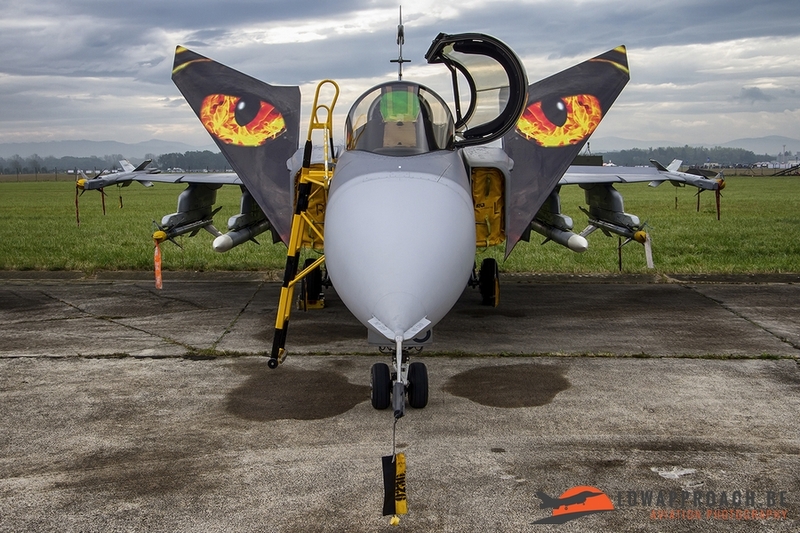 Also two special painted items were presented by the Czech Air Force, the MI-24/35 and the JAS-39C Gripen both showed us their tiger colors with which they participated in the annual NATO Tiger Meet that was held in Zaragoza this year. 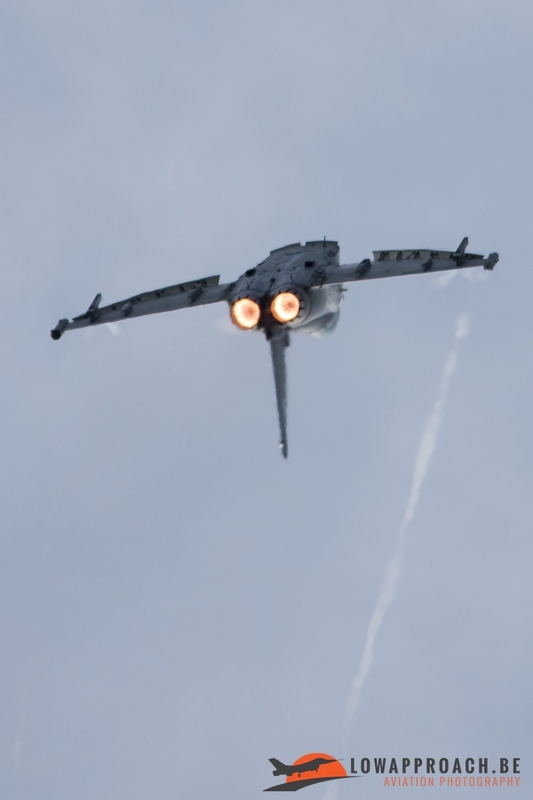 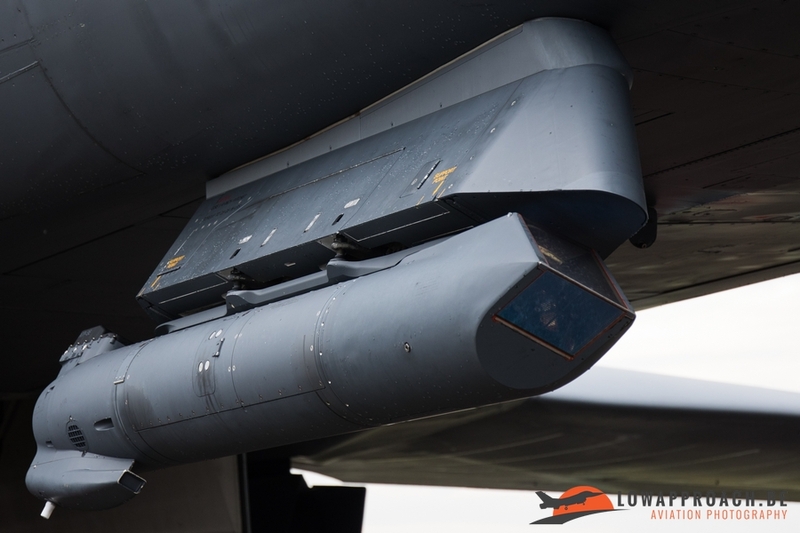 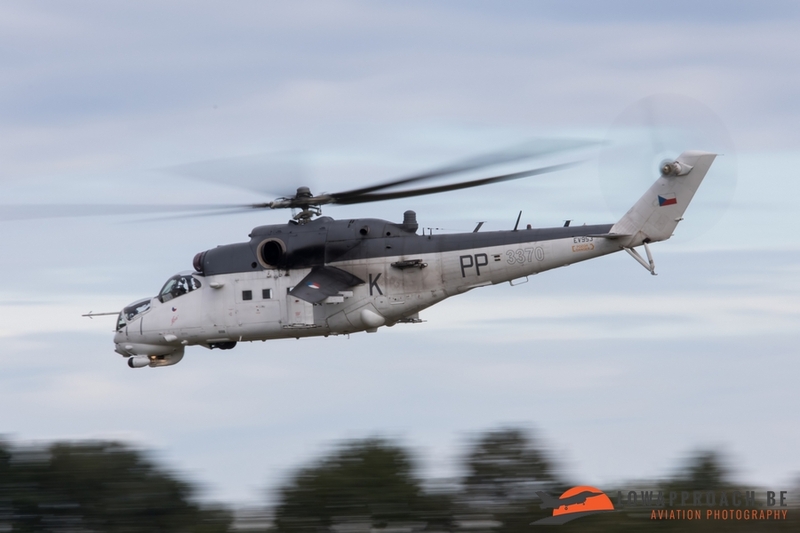 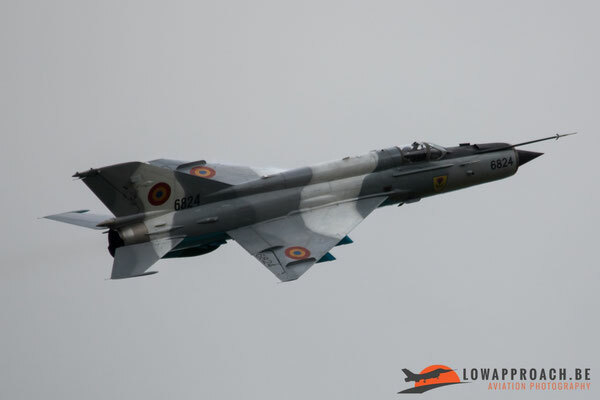 Other countries who participated in the static were the Hungarian Air Force with the JAS-39 Gripen and an AN-26, The Romanian Air Force with the C-27J Spartan and the MIG-21MF Lancer, the Slovak Air Force with the L-39ZAM and MI-17, the Royal Air Force with the Panavia Tornado GR4 and the Eurofighter Typhoon T.3, the Polish Air Force with a PZL SW-4 Puszczyk, the Netherlands Air Force with two F-16’s, and as last AERO Vodochody participated with their latest acquisition the L-39NG. 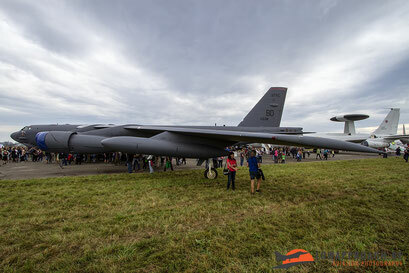 After we walked through the static, the weather got worse and it started raining for hours so we decided to go early to the hotel and hoped for some better weather on Sunday. 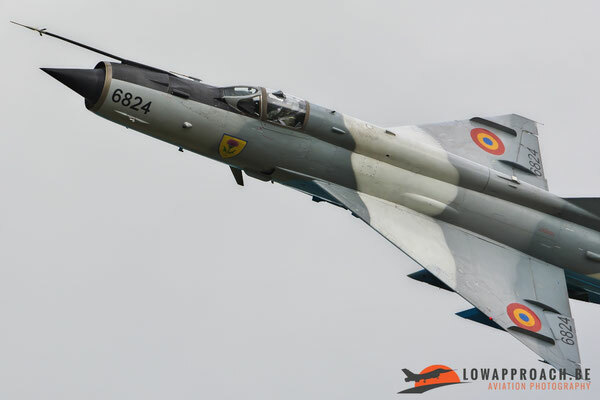 We arrived already very early in Ostrava for the second day of our visit to the NATO Days, in no time we had found the right place for making decent photographs of the flying displays on that day. 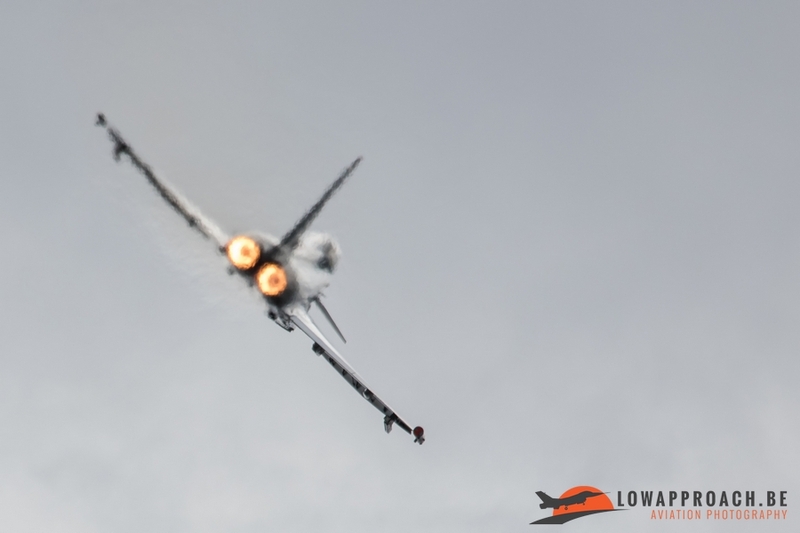 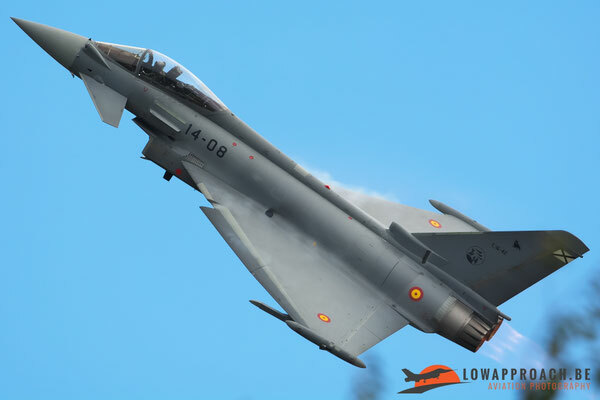 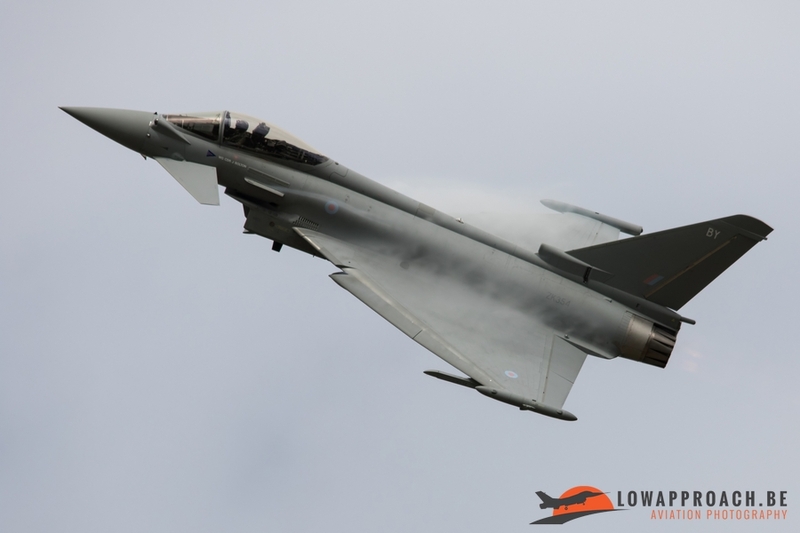 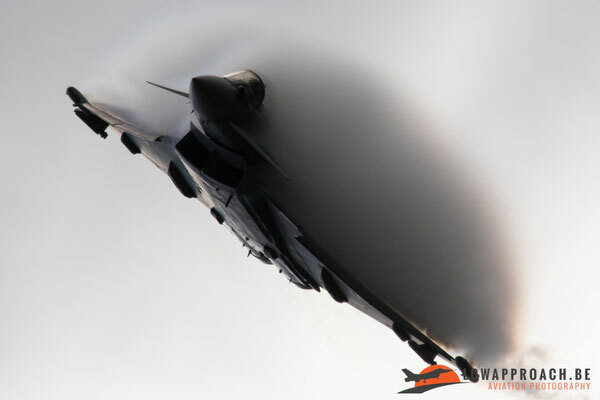 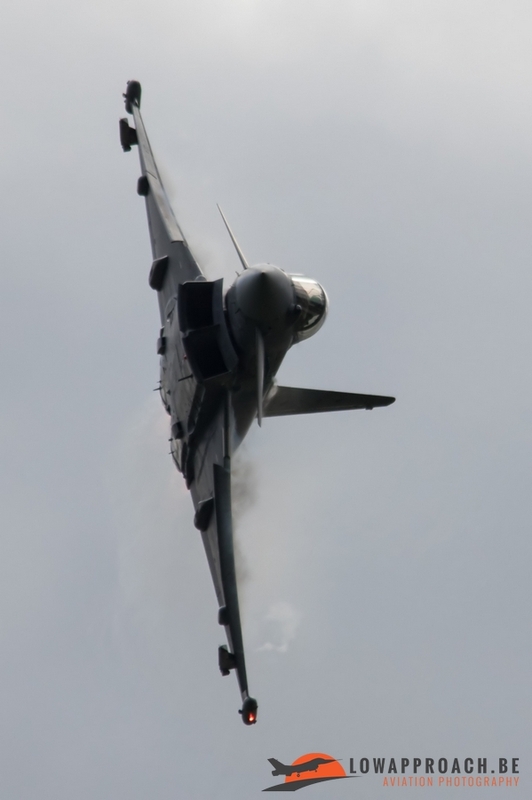 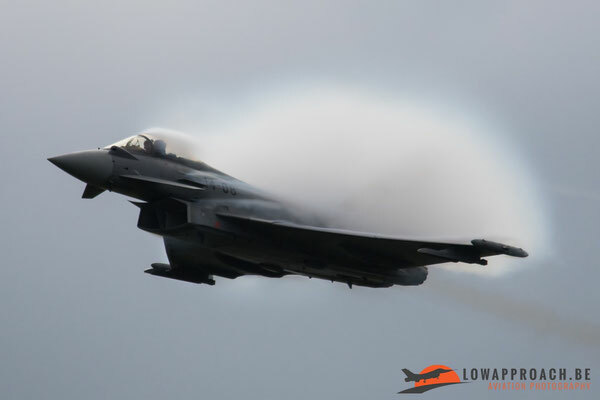 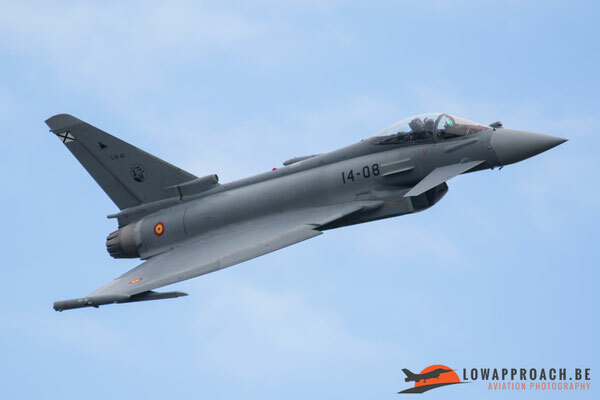 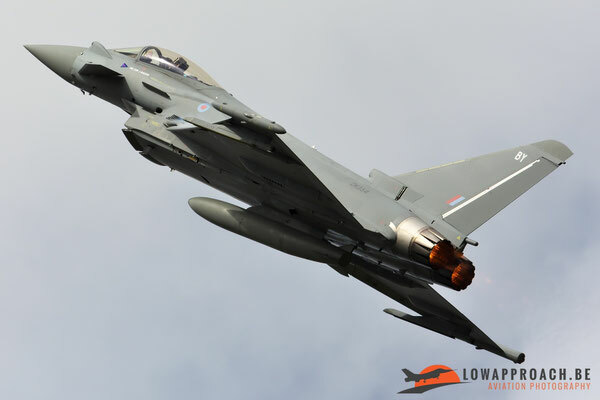 The first country that started the flying part of the Sunday program was the Spanish Air Force with their Eurofighter Typhoon, the humidity and the early time of flying resulted in some nice pictures because of the vapor on the wings of the Typhoon. 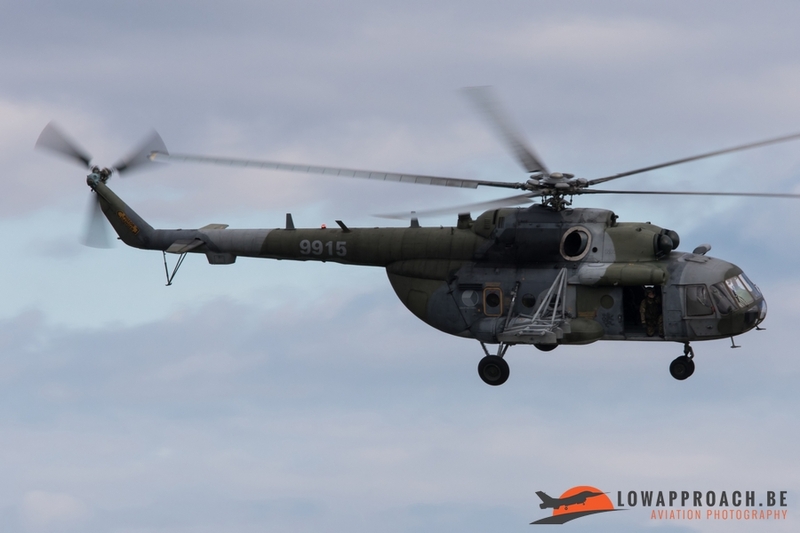 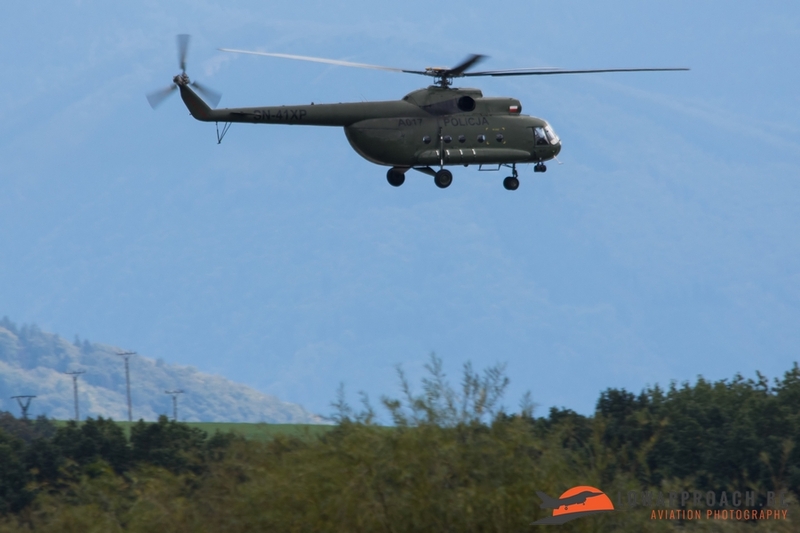 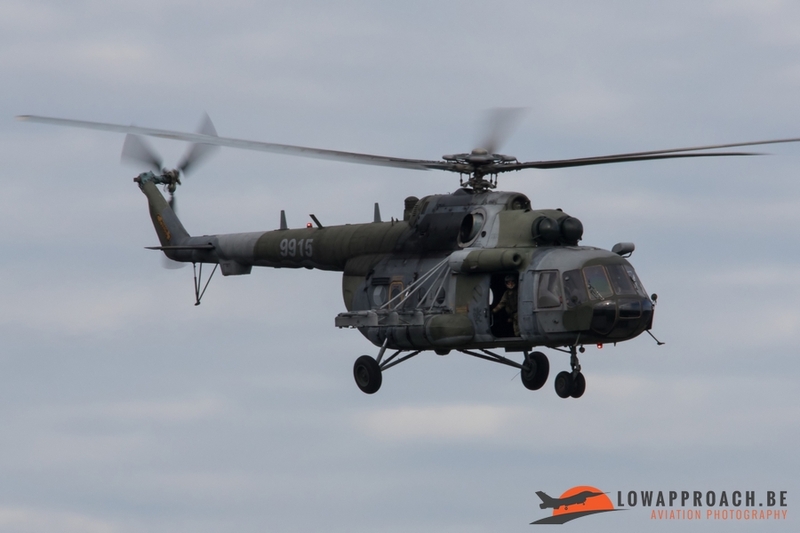 Next on the program was the rescuing of prisoners that mainly took place on the ground, but during the demo they were assisted by the Czech Air Force helicopters like the MI-24/35 and the MI-171. 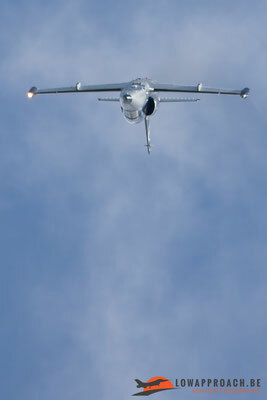 These two made some very nice passes before heading back to the airfield. 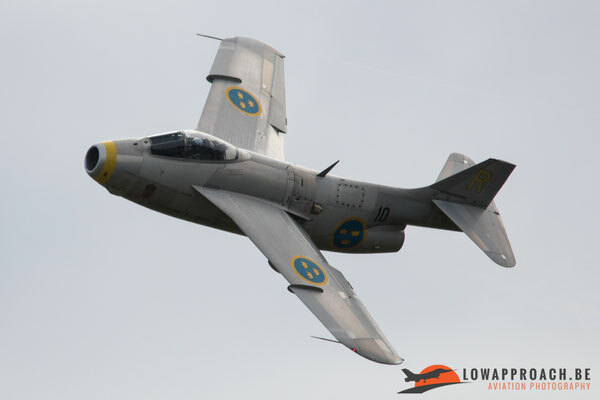 The following part of the flying display started with the SAAB J29F Tunnan from the Swedish Air Force Historic Flight. 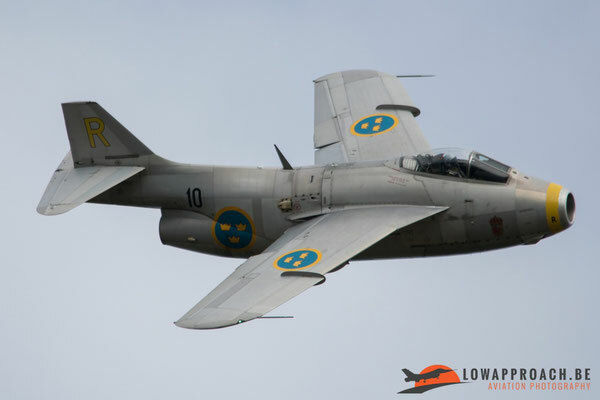 The Swedish Air Force Historic Flight is an association that flies former Swedish Air Force aircraft and maintains them in an airworthy condition and showing them at places all over Europe. 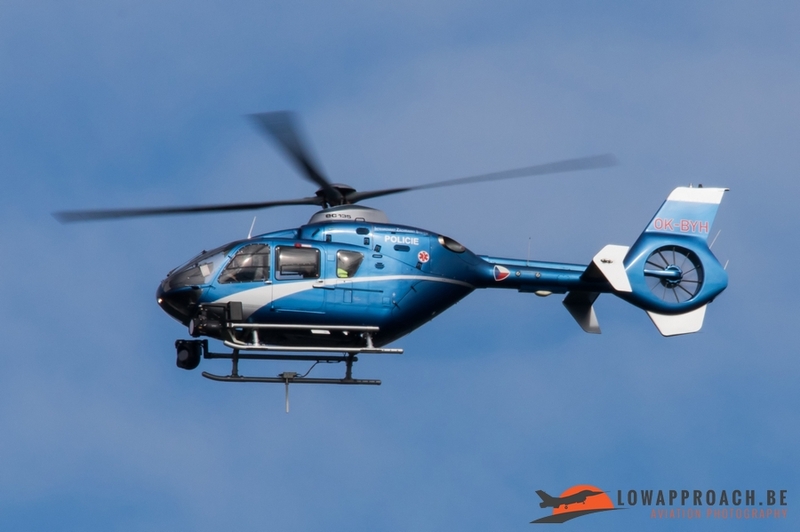 After this nice performance of the Tunnan, the EC-135 from the Czech Police lifted off to make some flybys above the airfield of Ostrava. 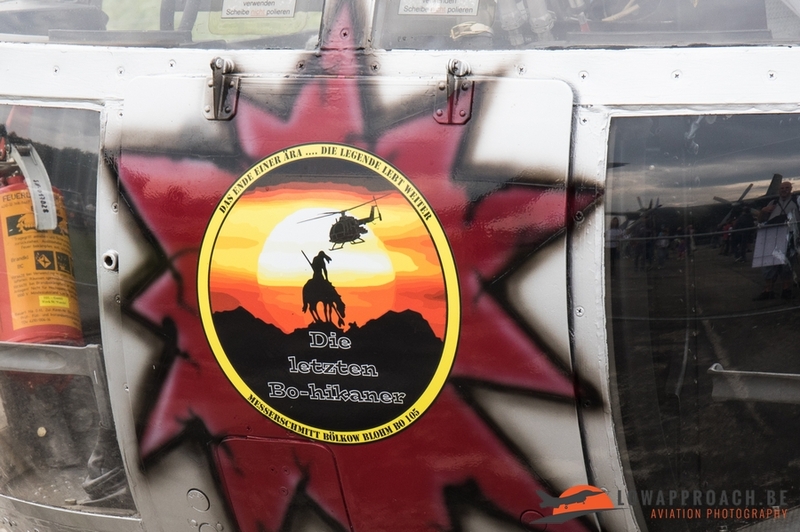 The German Army Bo-105 was the next helicopter to do his performance for the audience, this display was performed at a long distance from where we stood, so no pictures were taken but nevertheless worthwhile to see. 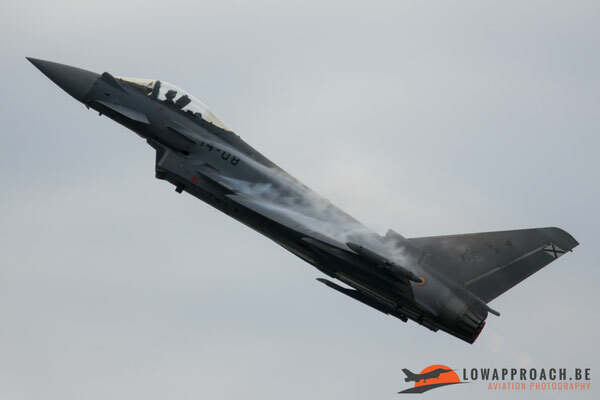 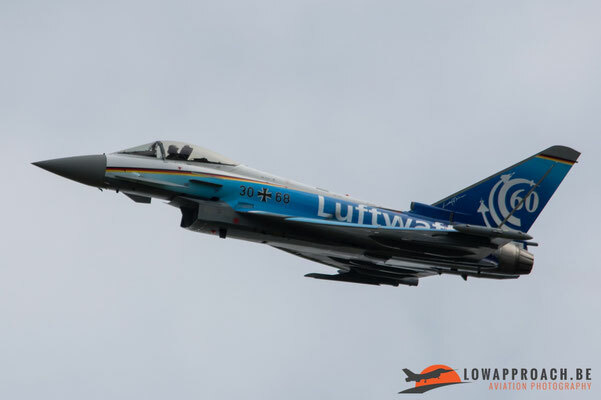 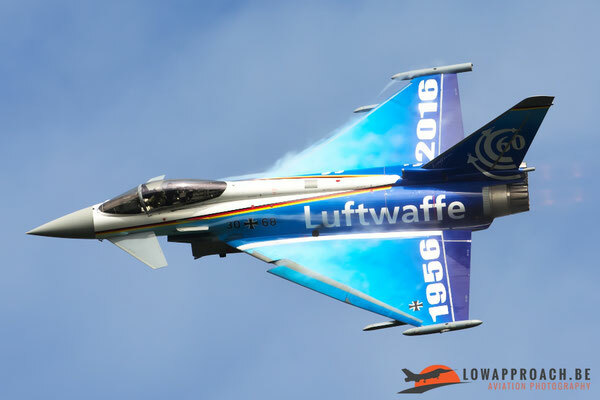 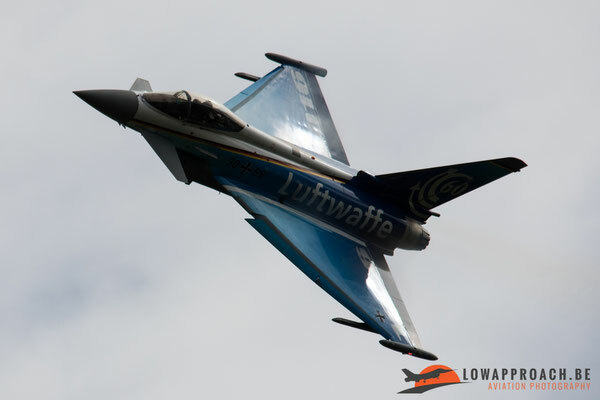 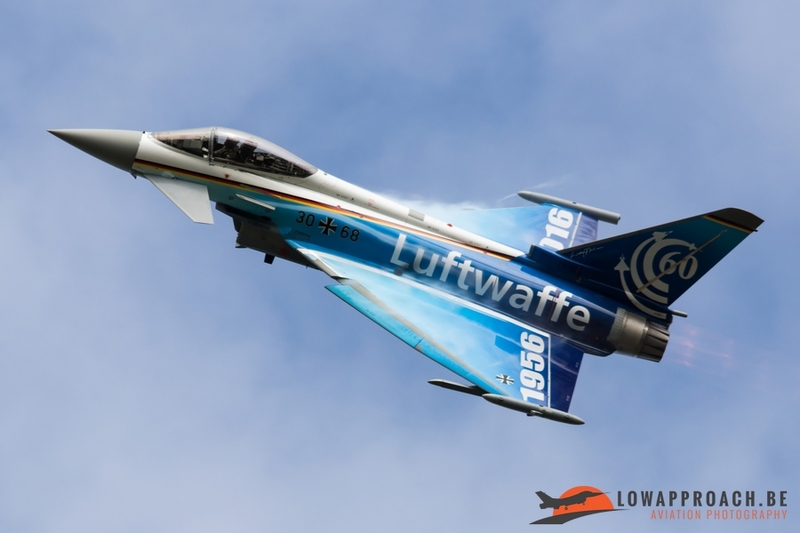 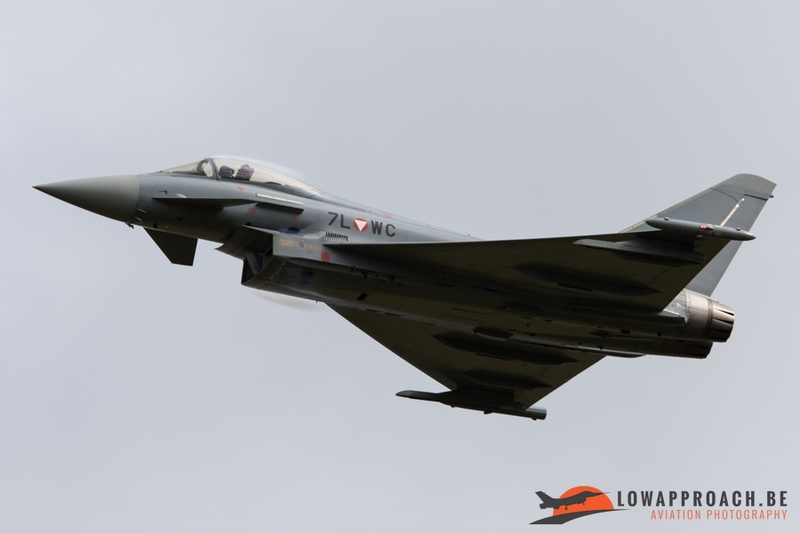 The German Air Force special painted Eurofighter showed us a fantastic display, the Eurofighter is painted in a special coloursheme to celebrate 60 Years since the formation of the modern Luftwaffe der Bundesrepublik Deutschland. The Blue-White colours with the German flag on top is a very nice sight. During the NATO Days, not only flying displays are being performed, but there are also some ground demonstrations such as a Dynamic Display of the Service Vehicles of the Czech Police, Joint Display of the Czech, German and Slovakian Customs Service, Driving Characteristics of the T-72M4CZ and Leopard tanks and many more, during these demonstrations there was time for landing and take-off from the Let L-410FG Turbolet. 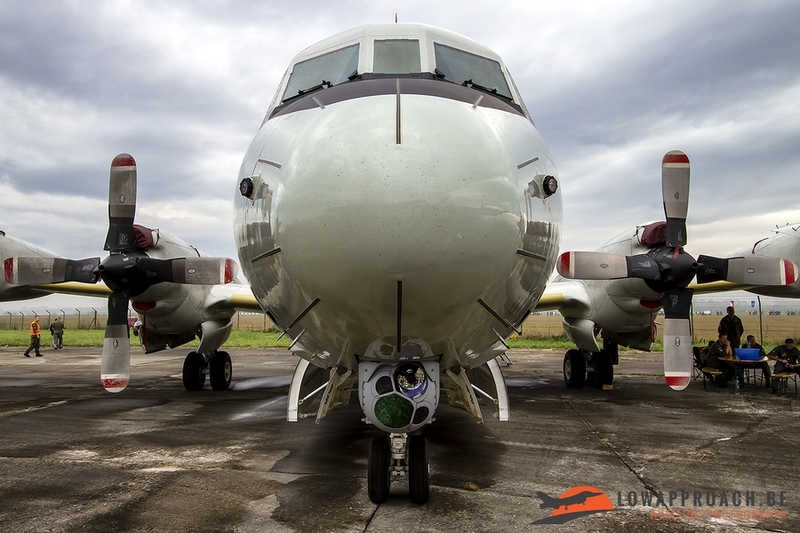 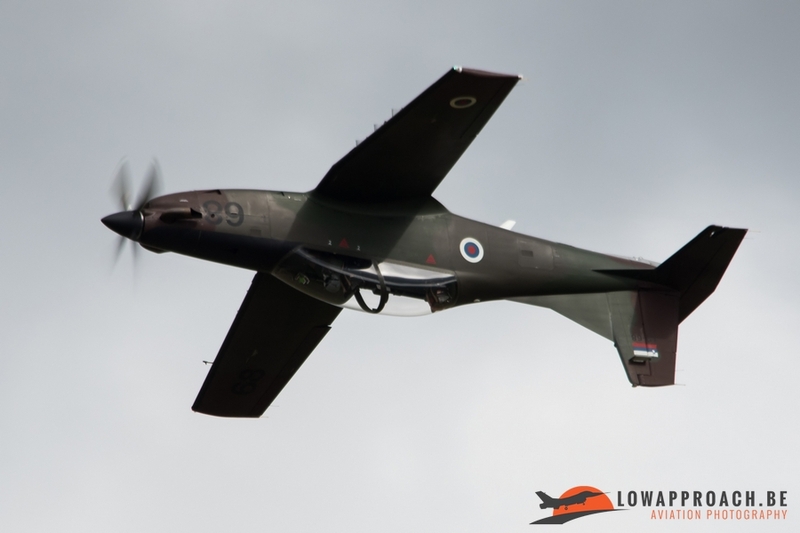 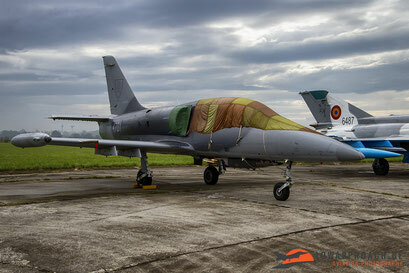 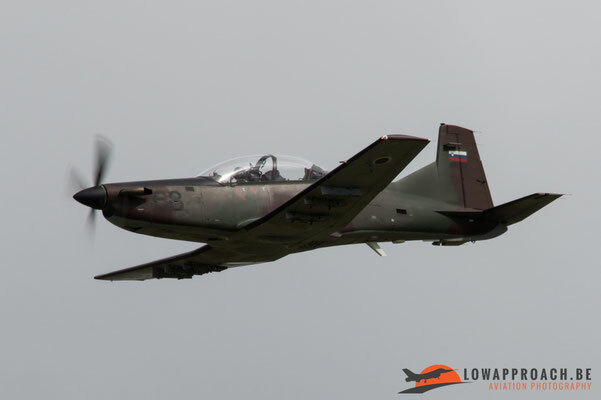 The Czech air force has in duty two "Turbolets in version FG" for photogrammetry tasks. 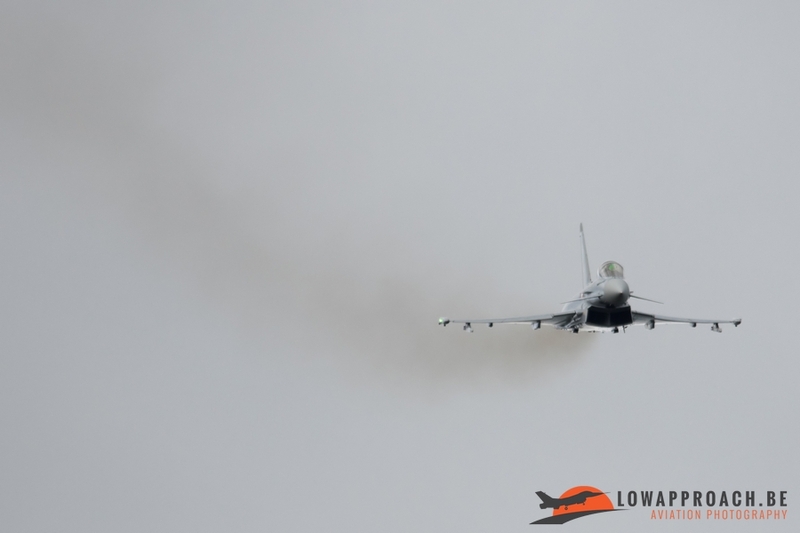 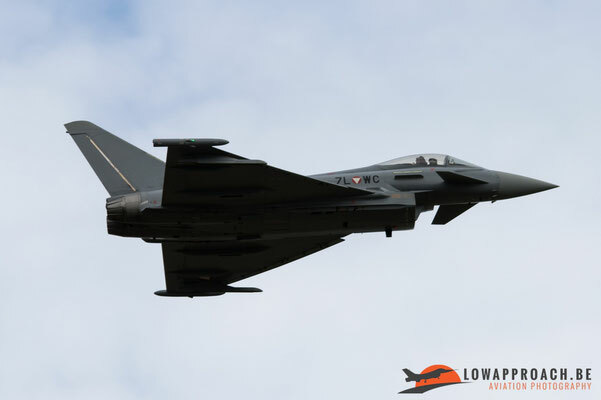 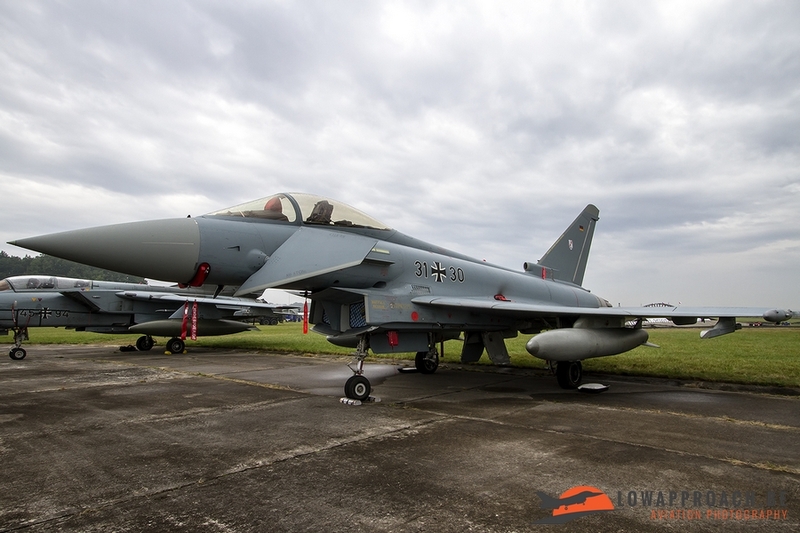 After these we saw already the third country showing their Eurofighter Typhoon now it was the turn of the Austrian Air Force to show the capabilities of their aircraft. 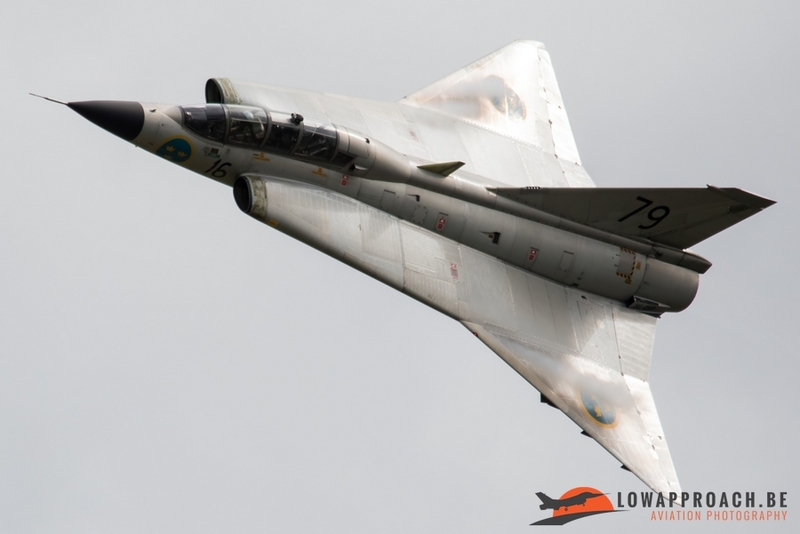 After this tight performance of the Austrians it was once again time for the Swedish Air Force Historic Flight to perform, this time it was the dynamic display of SK35C Draken. 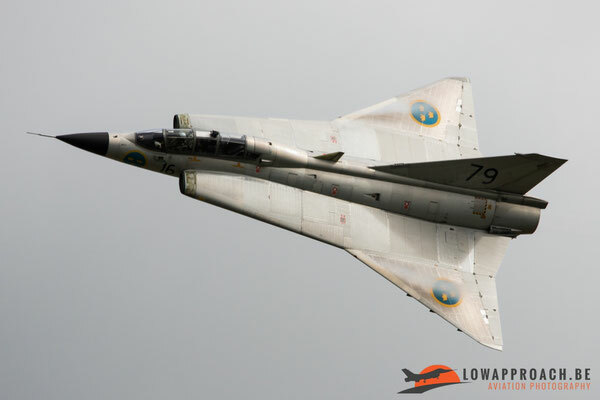 The Saab Draken was manufactured between 1955 and 1974. The Draken was built to replace the Saab J 29 Tunnan and was successfully exported to Austria, Denmark, Finland, and to the United States as a test pilot training aircraft. 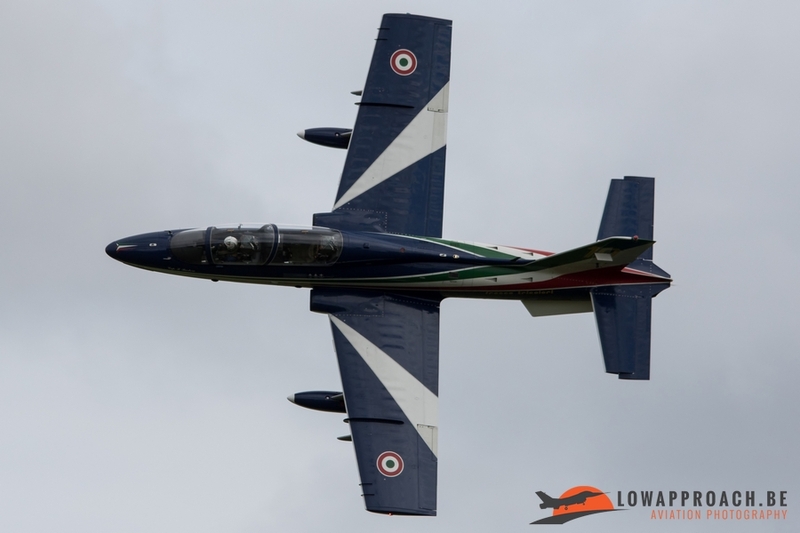 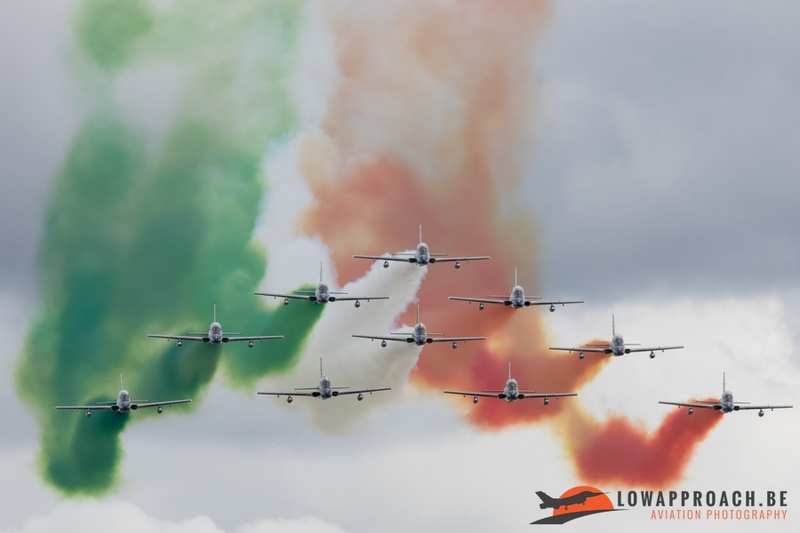 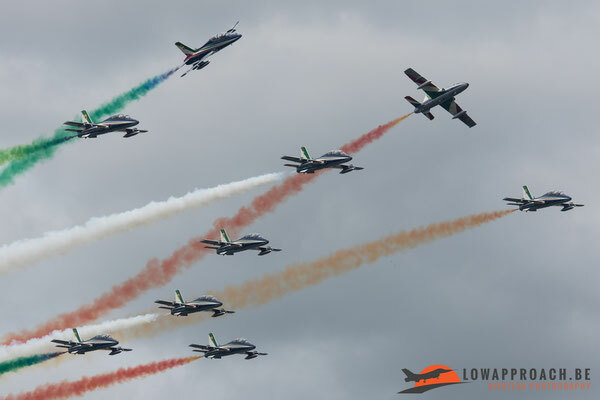 The NATO Days invited also some demo teams to participate in the airshow but after the cancellation of the Belgium Air Force “Red Devils” the only team on the program was the Italian Air Force “Frecce Tricolori”. 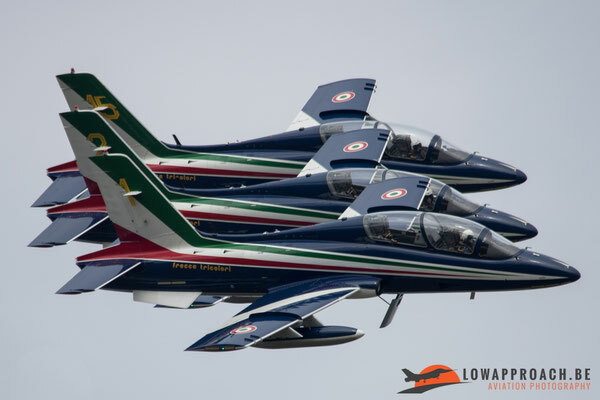 They performed only a part of their normal full display, but they still showed of their flying skills all the way. 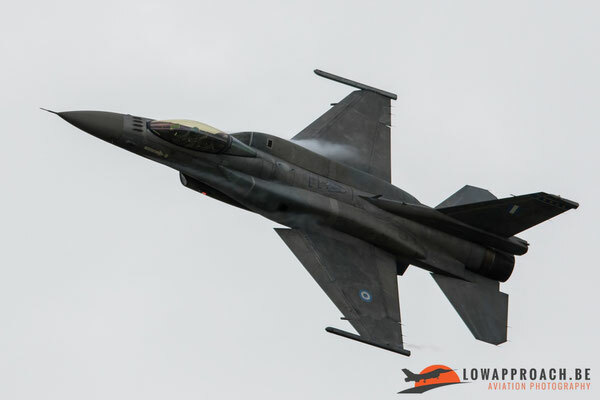 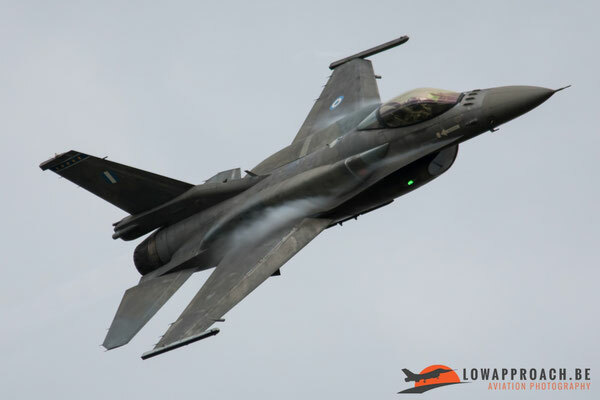 Also the Hellenic Air Force was present with their F-16 Demo “ZEUS”, the Slovenian Air Force with the PC-9M and the RAF attended the NATO Days with their Typhoon Solo Display. 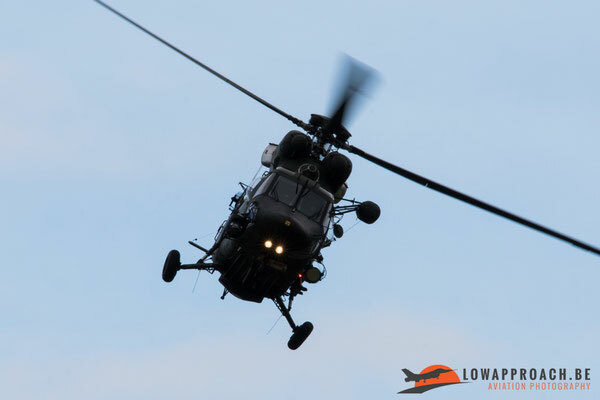 Further in program we saw a fly-past of different Police helicopters. 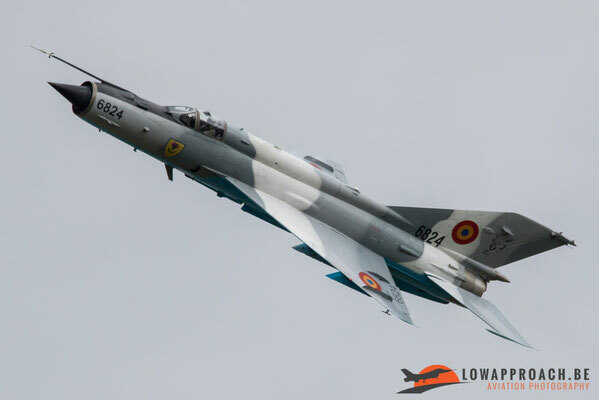 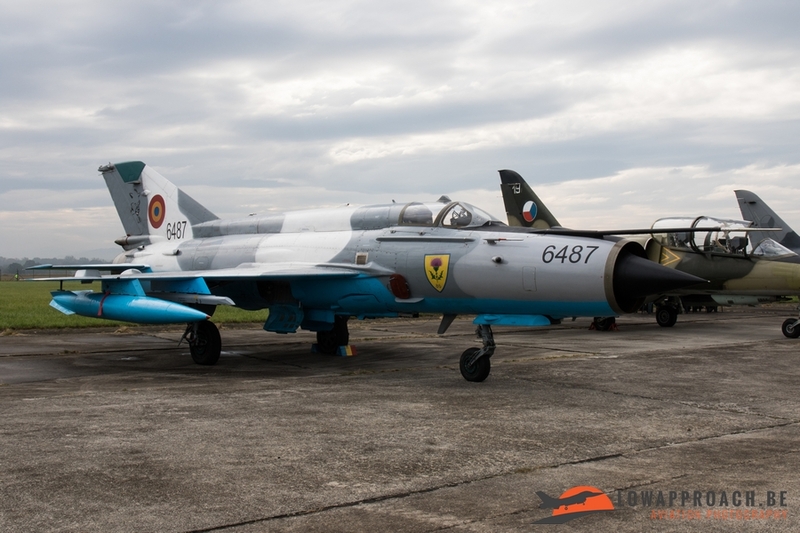 Possibly the highlight for this year’s NATO Days was, let us say for most of the attending people, the solo display of the Romanian Air Force MIG-21MF Lancer. 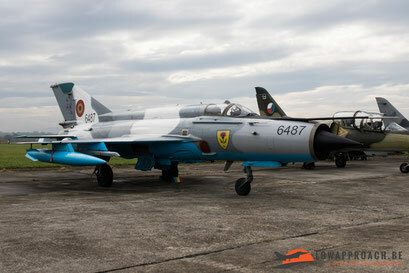 Besides Romania only Croatia still uses the Mig-21 in Europe. The display was flown very solid and it was a very nice to see performance. 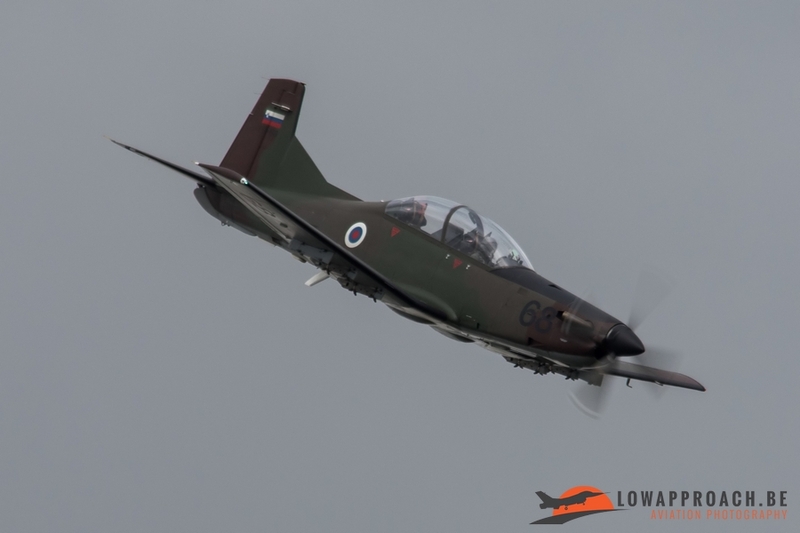 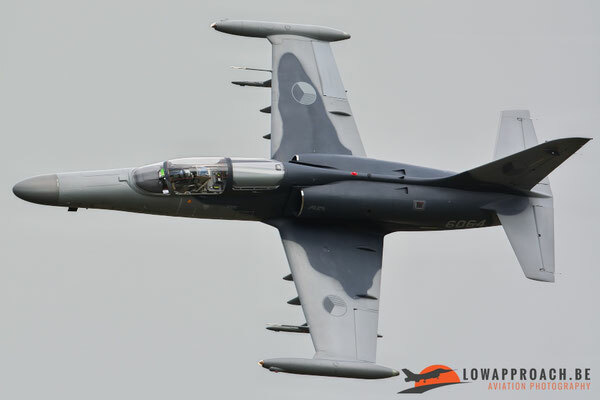 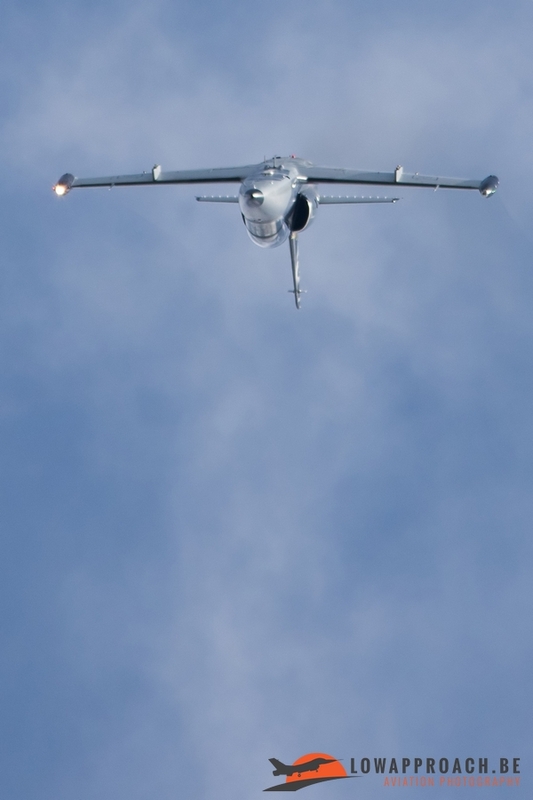 After this display it was the turn for the Slovak Air Force with their L-39ZAM, this is an significantly upgraded L-39ZO for armed training and light attack, employing sturdier landing gear, a higher payload and notably provision for a GSh-23L 23-millimeter twin-barreled cannon attached in a conformal pod under the pilots compartment. 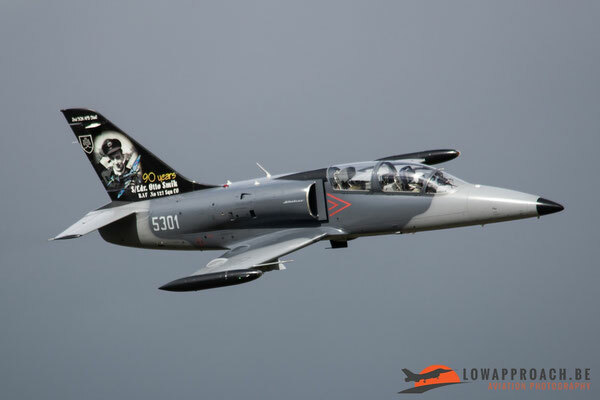 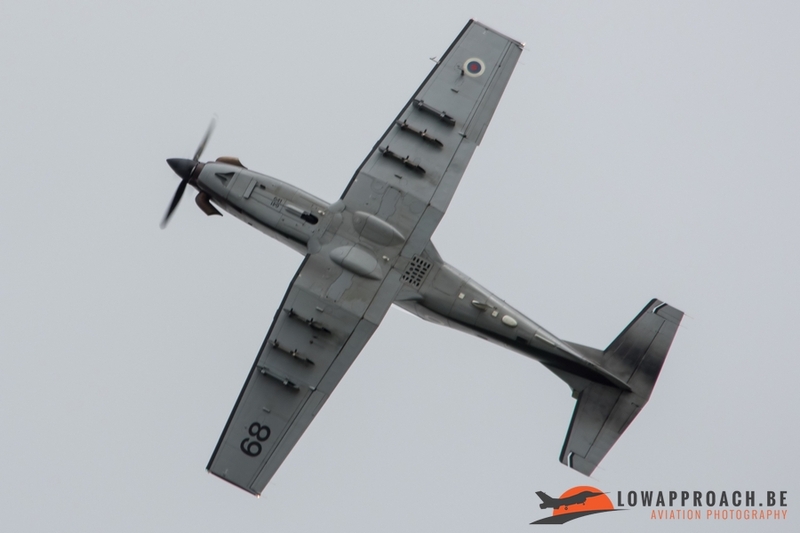 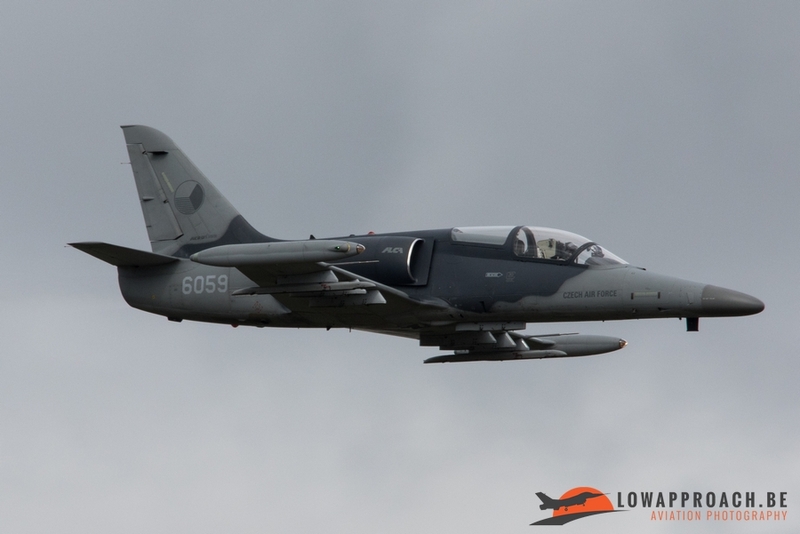 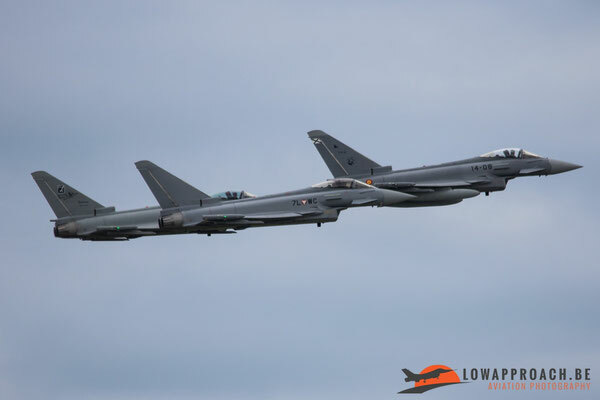 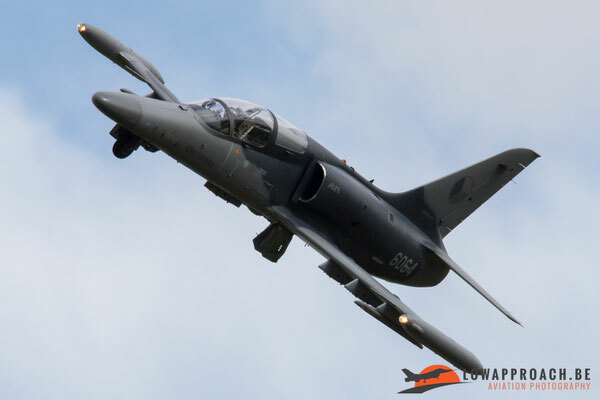 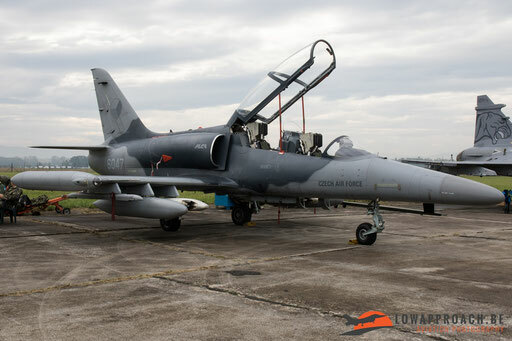 The program was going further with a Joint Dynamic Display of the Czech Army and the German Army assisted by two of the Czech Air Force L-159A ALCA’s which provided close air support to ground units. The display consisted of some simulated base attacks and a couple of fly-by’s, even flares were being used in their display. 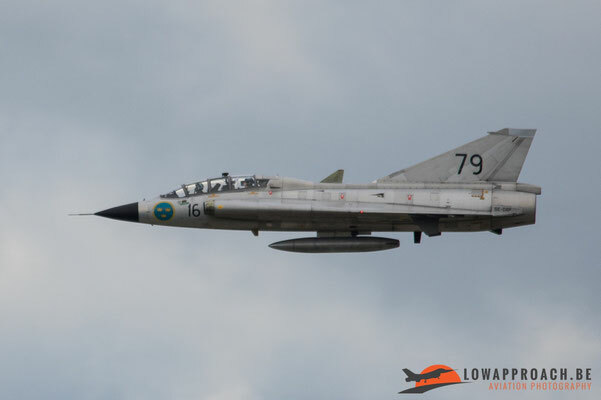 Afterwards it was again time for an aircraft of the Swedish Air Force Historic Flight, this time with their AJS37 Viggen. 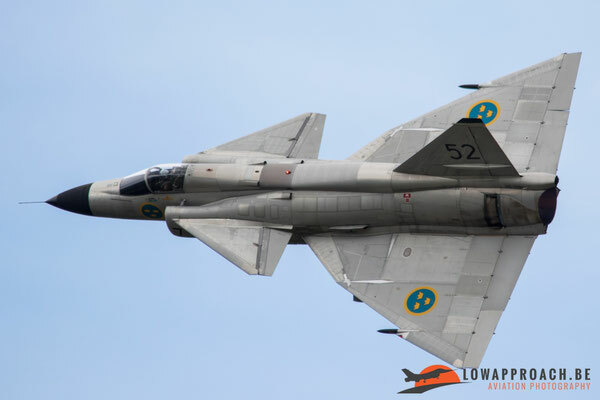 37098 last flight for the Swedish Air Force was made in June 2000. 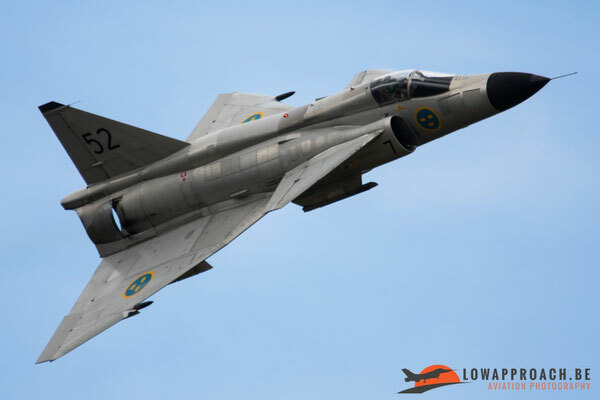 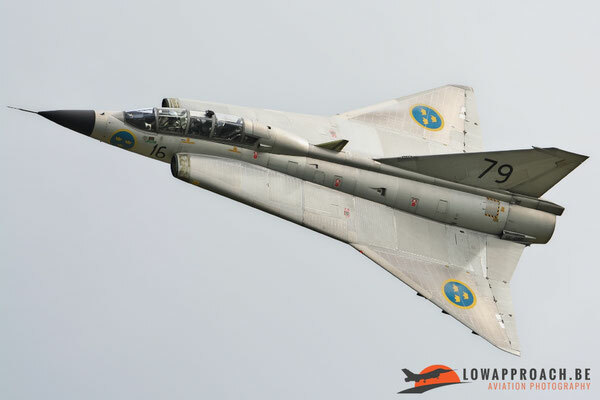 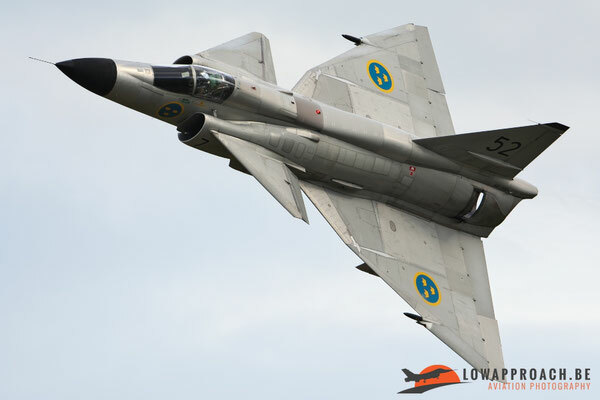 The SwAFHF managed to save it from destruction and the first flight of the Viggen for the SwAFHF was been done in March 2012 when the Viggen, AJS 37, SE-DXN, was approved as airworthy by the Transport Agency and the civil registry. Since a couple of years the Viggen can be seen at airshows in Europe and luckily for us also in Ostrava. When the demo ended for the Viggen we already saw another Typhoon taxing to the runway. 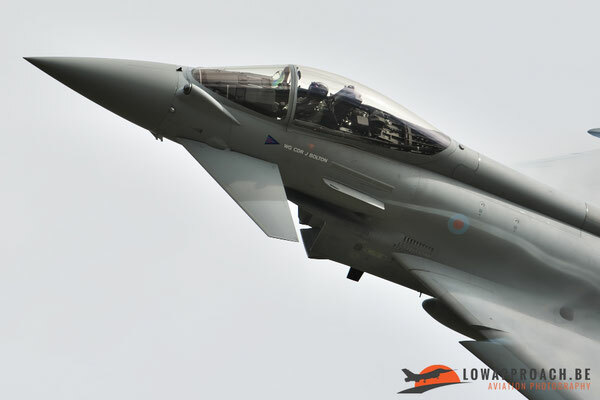 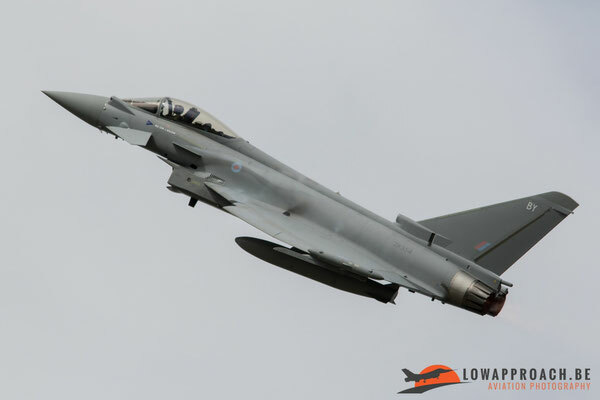 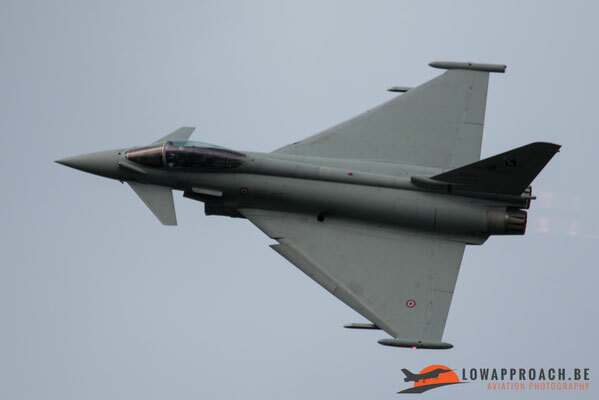 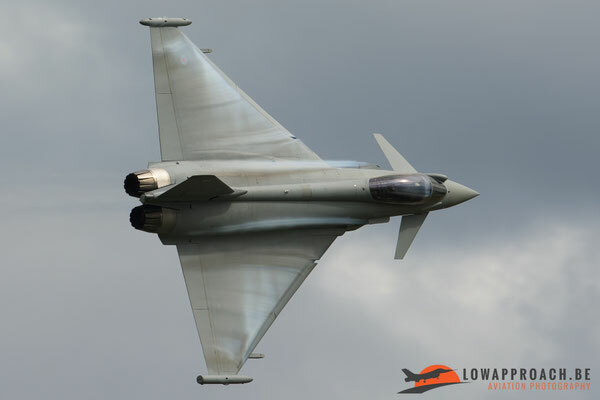 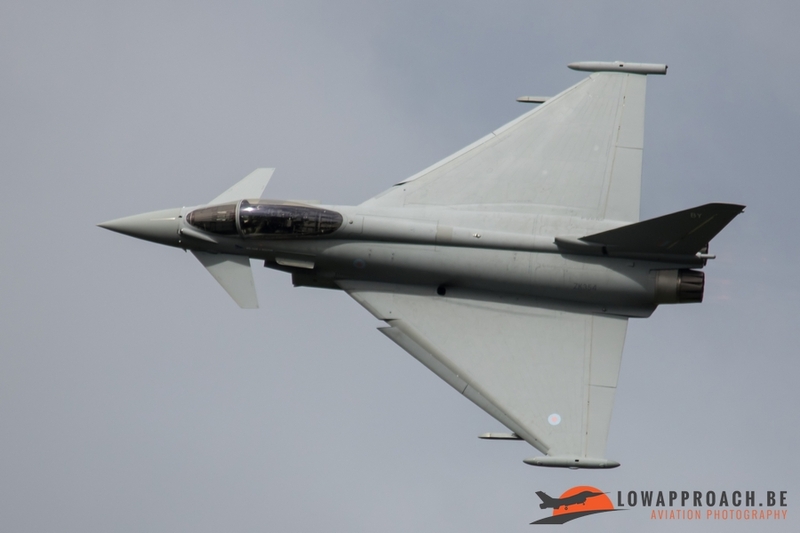 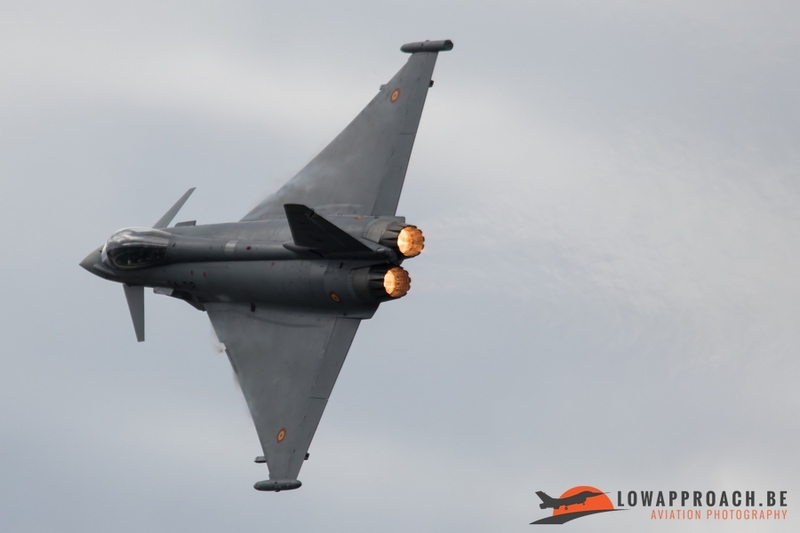 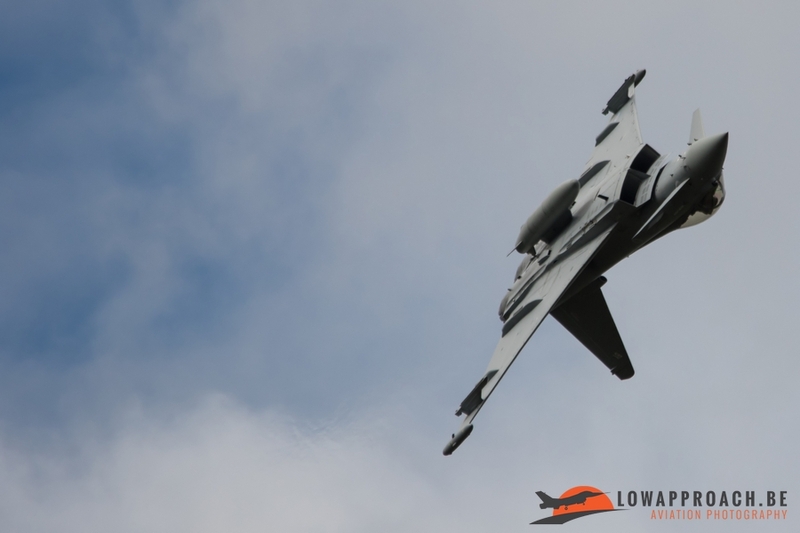 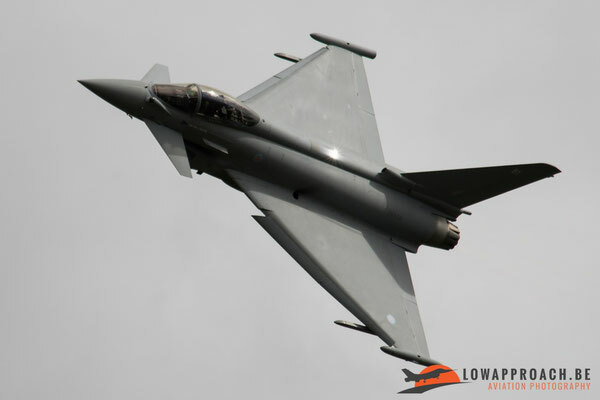 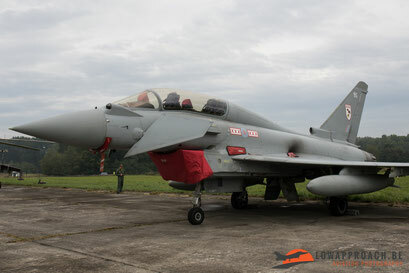 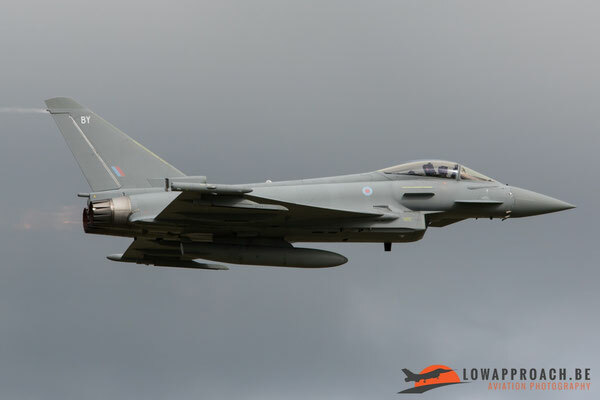 During this airshow we saw five countries showing of their Eurofighter Typhoon displays. 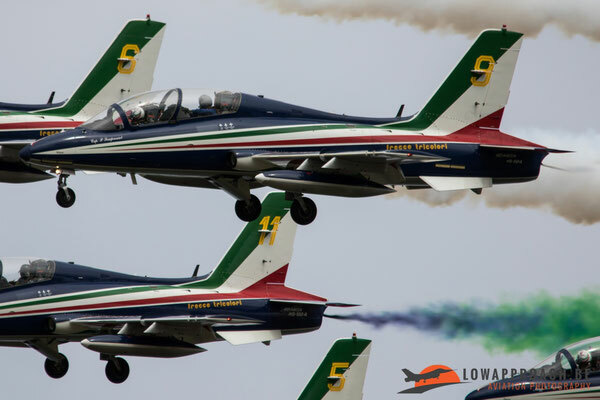 As last one of the five it was the turn for the Italian Air Force. 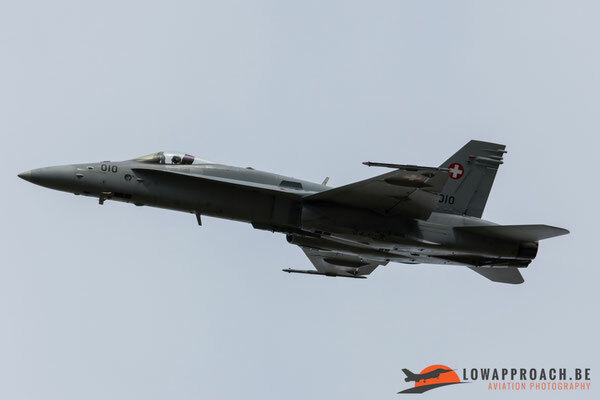 After this last of 5 Typhoon displays, it was time for the Swiss F/A-18 Hornet Solo Display Team to kick off. 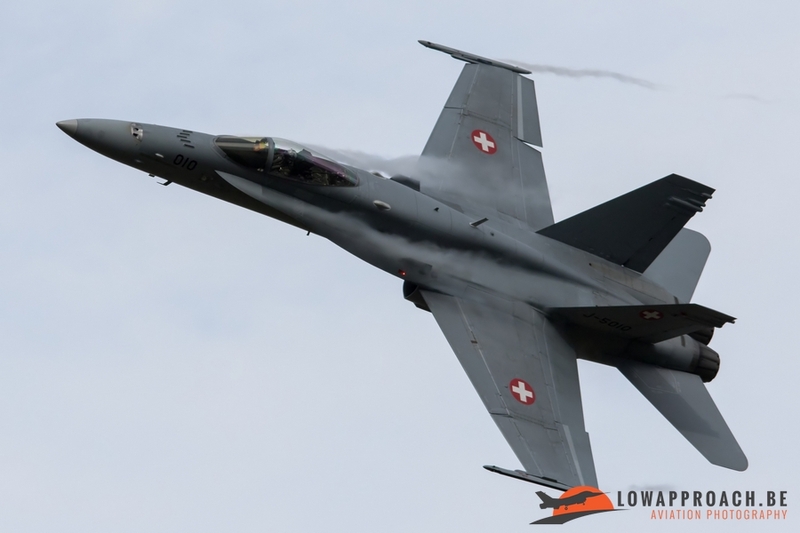 Captain Julien «Teddy» Meister was flying the Hornet demo for three years and Ostrava was his last airshow abroad. 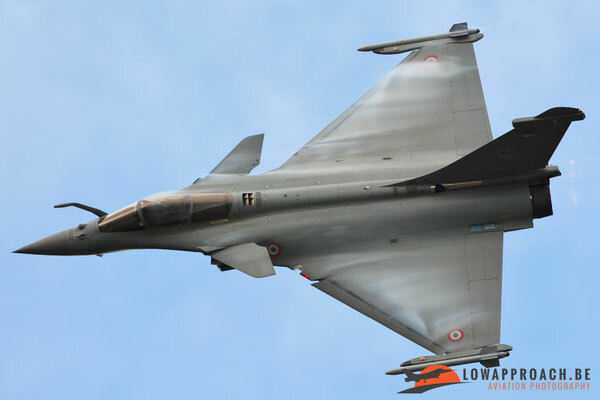 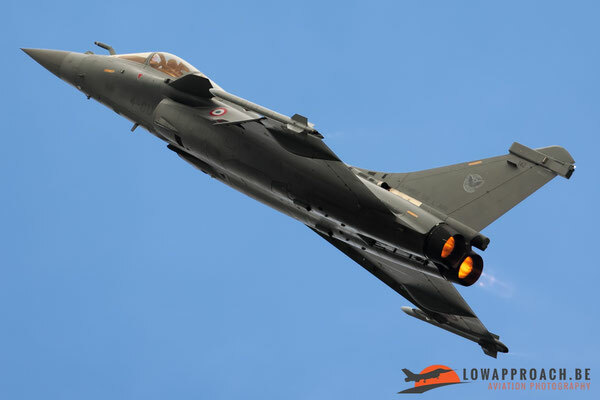 After landing and the usual tribute by the fire brigade of the NATO Days it was time the French Air Force to show us their Rafale Solo Display, and the French really know how to present an aircraft to the public. 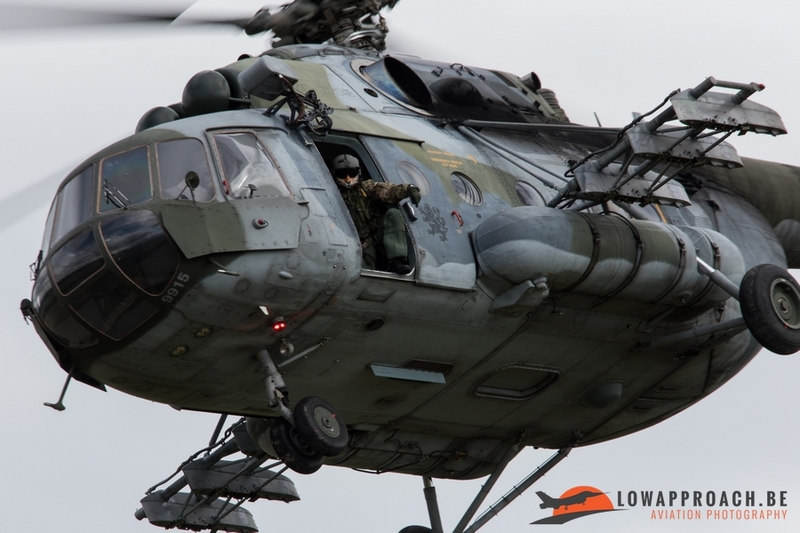 After this aggressive display we were going to some slower action with the Polish Air Force who showed us their W-3 Sokol. 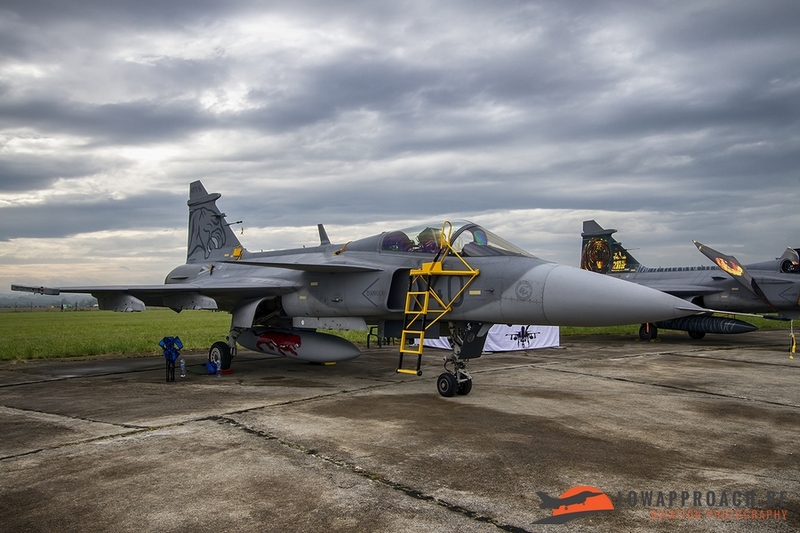 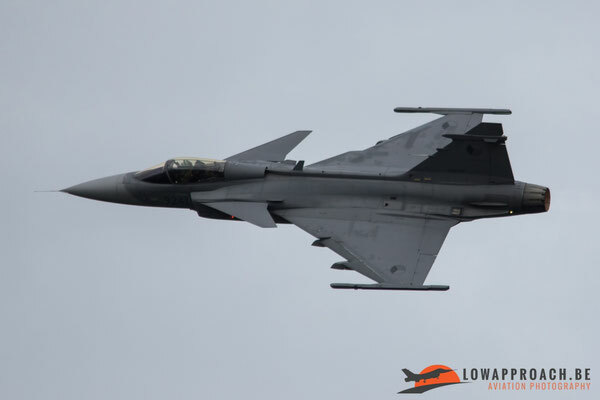 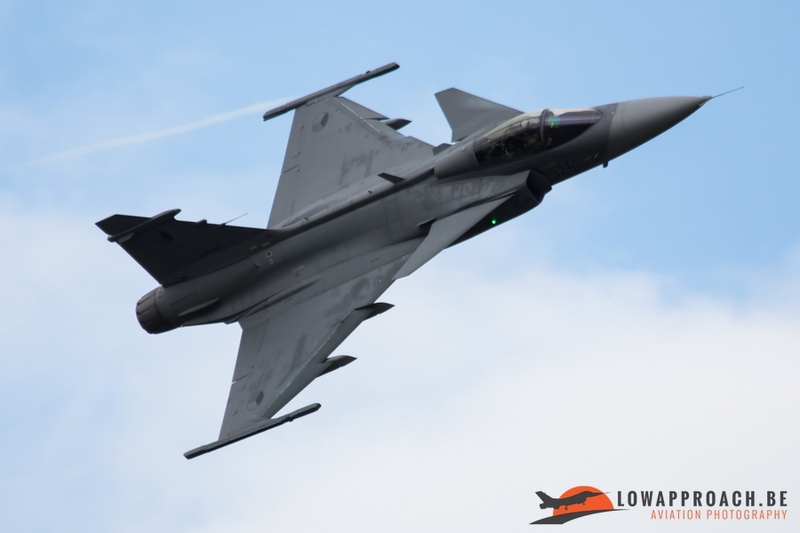 After this gentle display, the Czech Air Force ended the solo displays with the Saab JAS-39C Gripen. When this display had ended, we were treated to another highlight of the day, this was a formation flight of three Eurofighter Typhoons from three different countries, after two passages they all landed and this concluded our trip to the NATO Days. 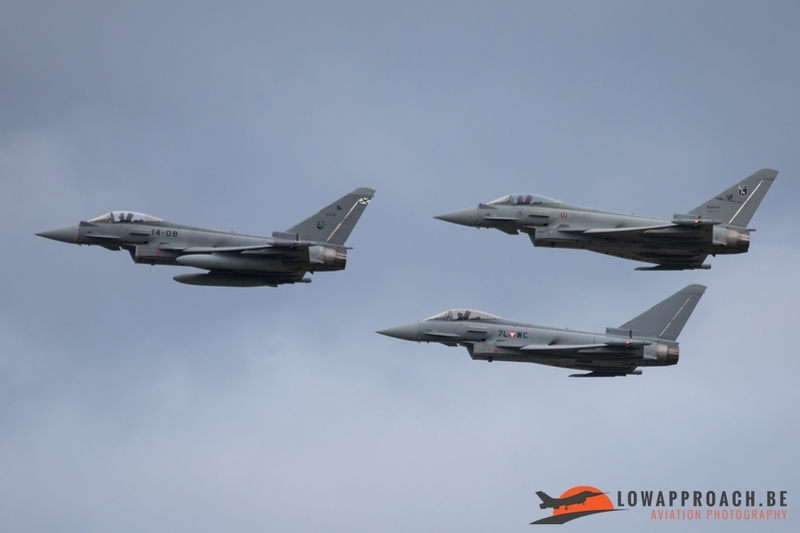 The NATO days can be seen as a very nice event to visit, the ground displays and the flying displays are all worthwhile to see. 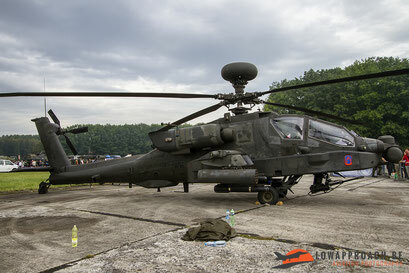 The event is very well organized and easy to reach.